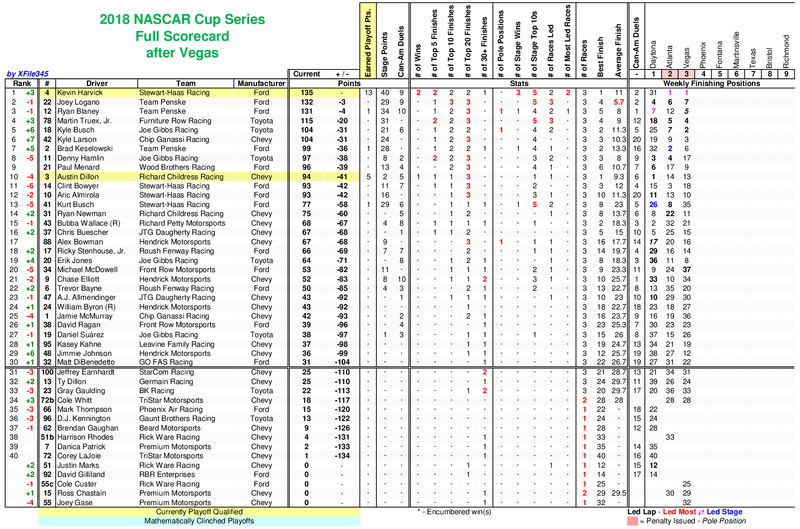 Brad Keselowski's 3-race win streak got me curious about other streaks in the Cup Series. 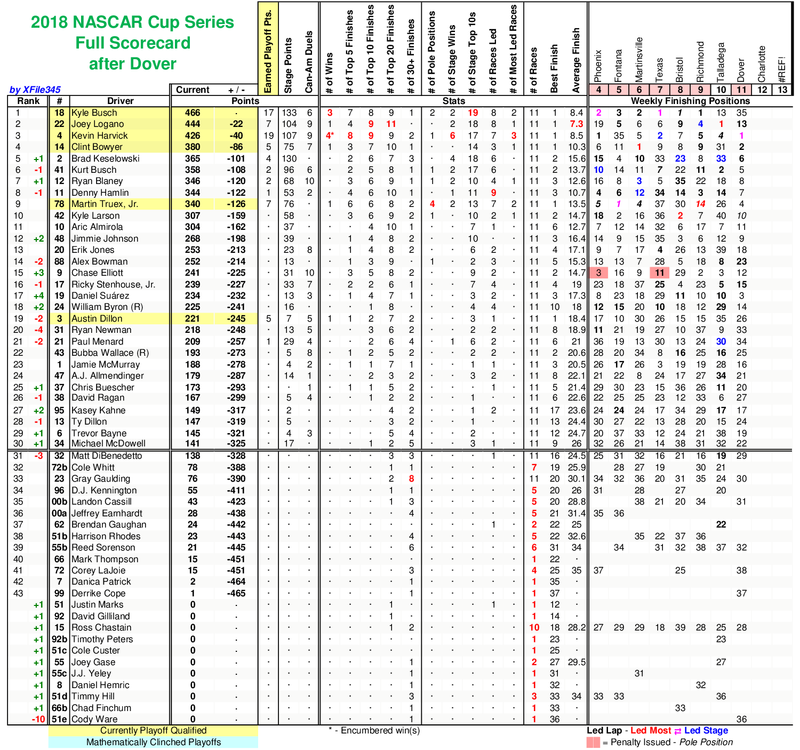 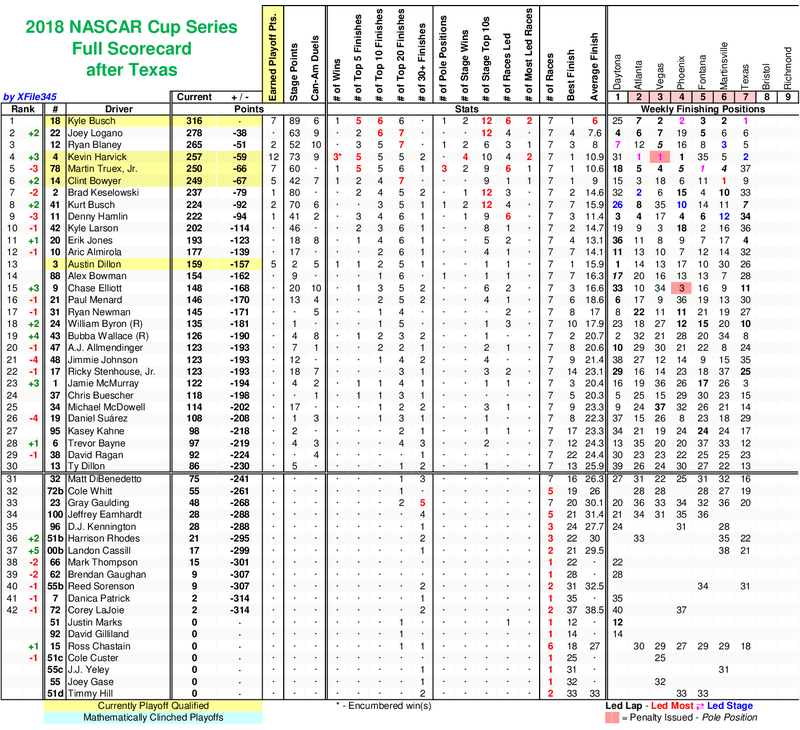 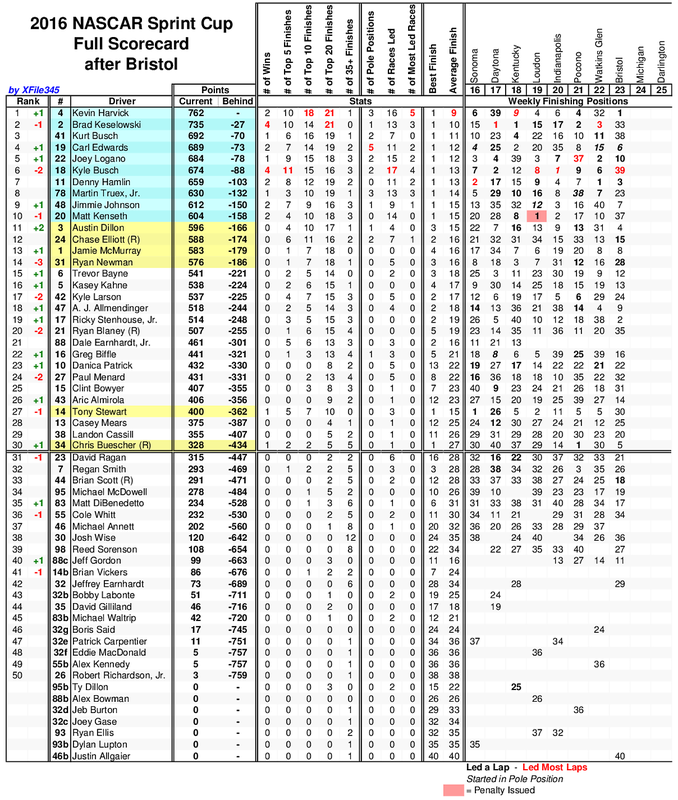 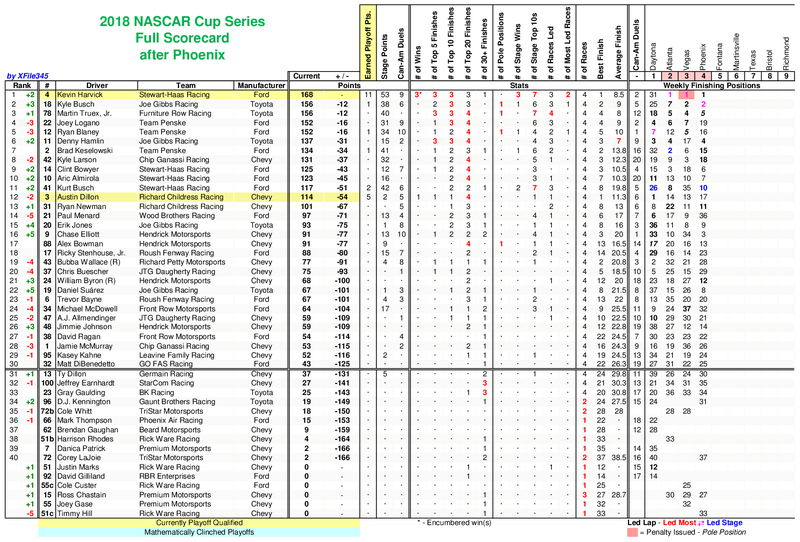 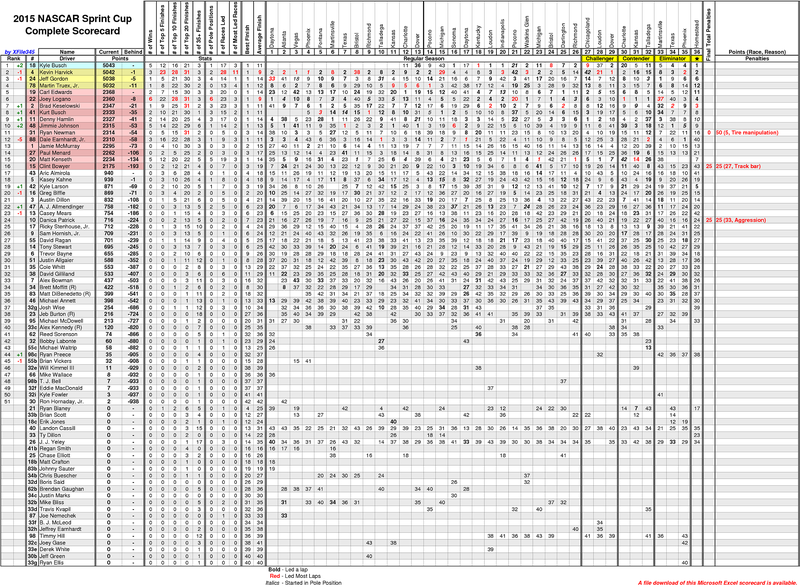 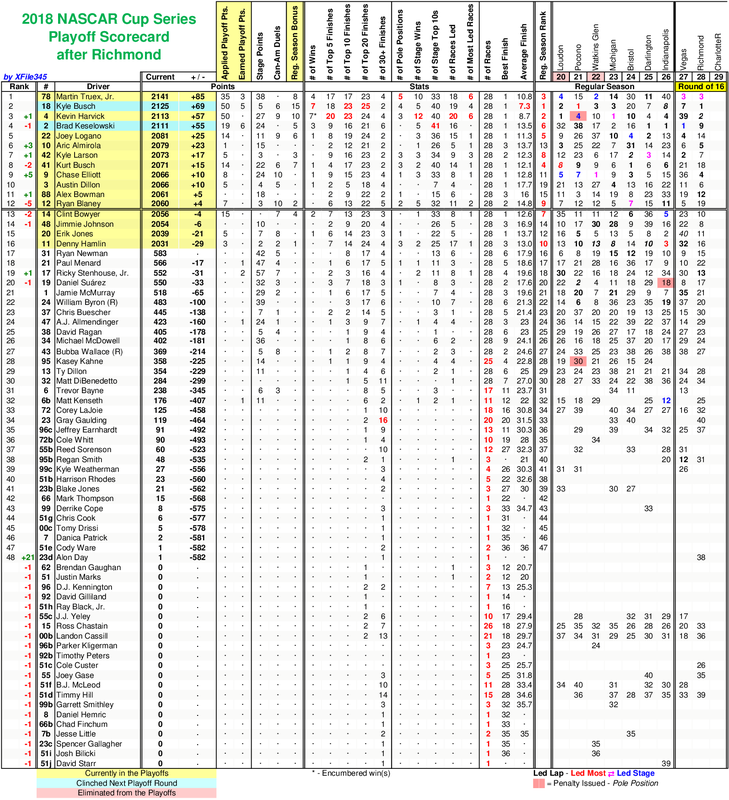 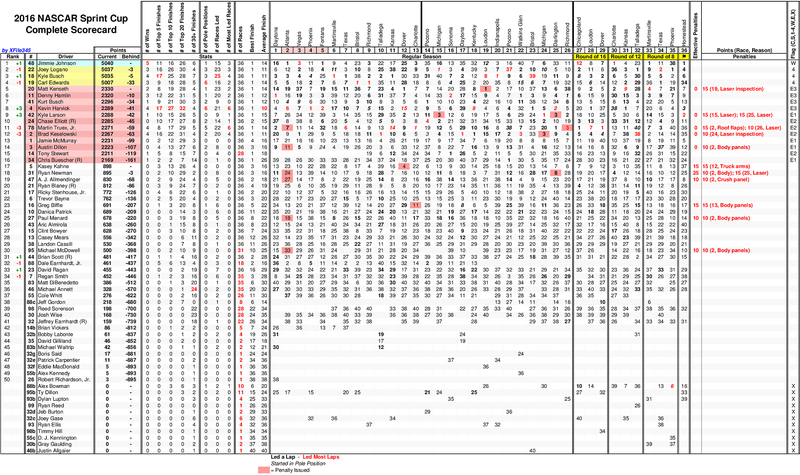 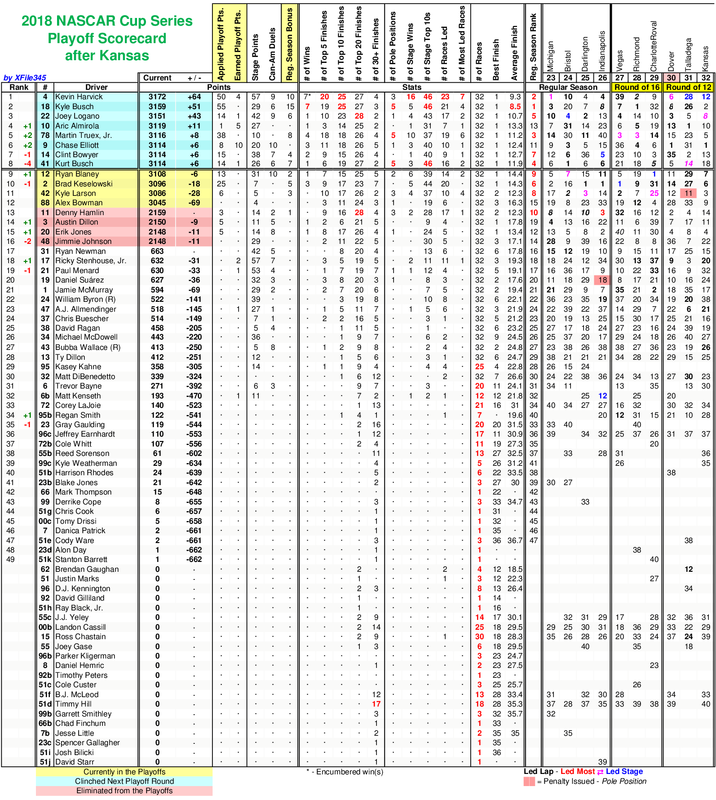 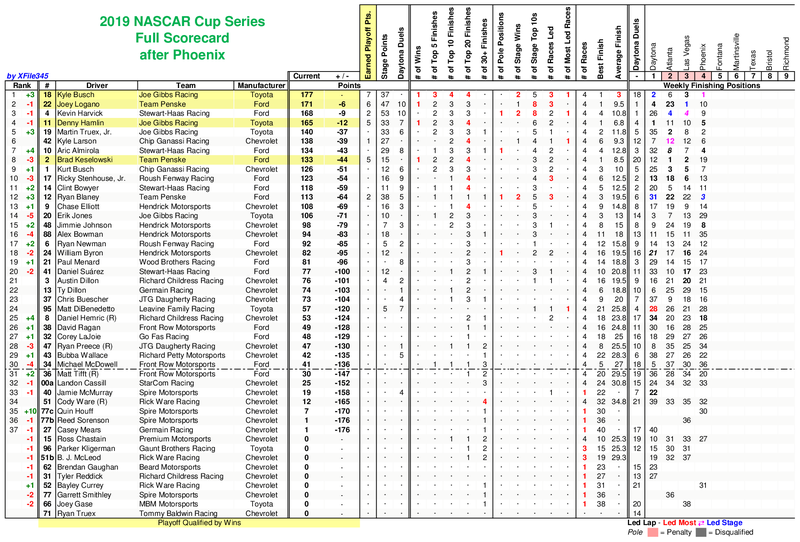 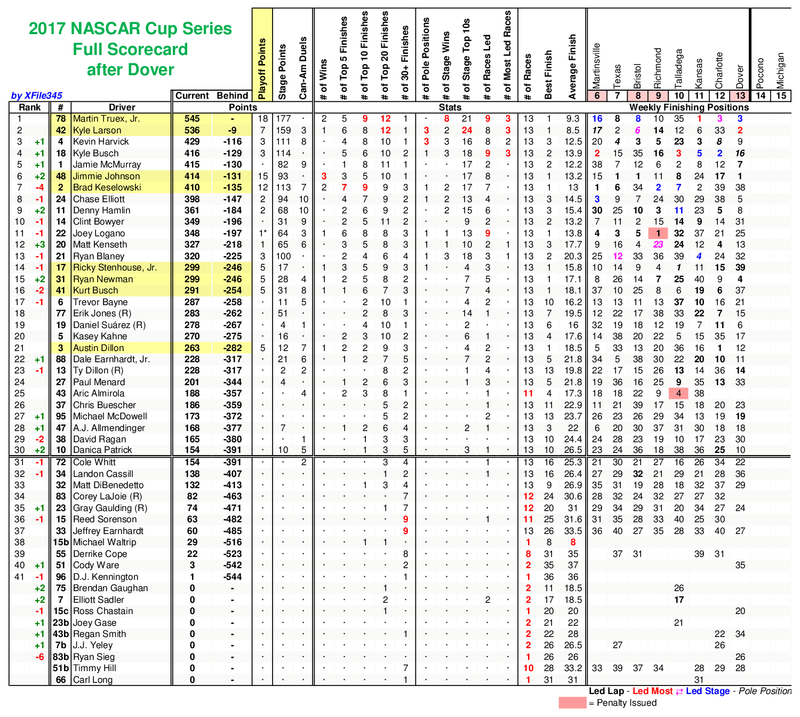 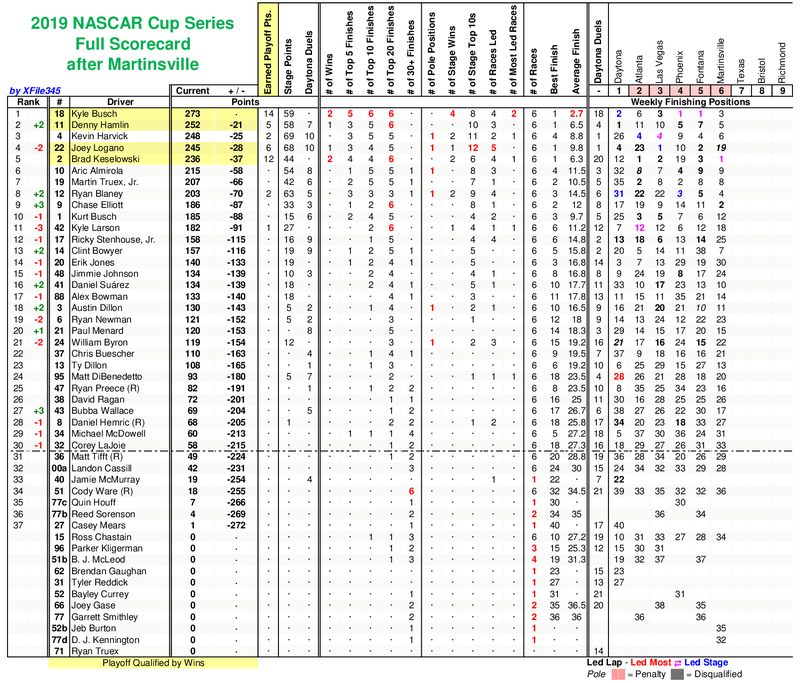 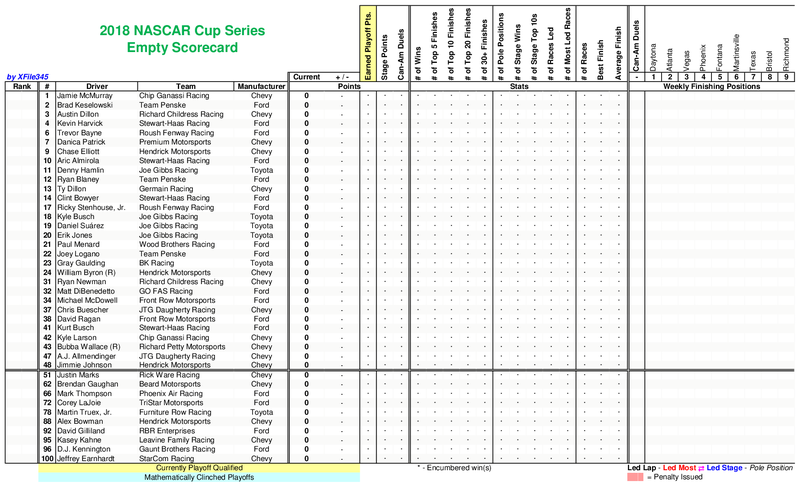 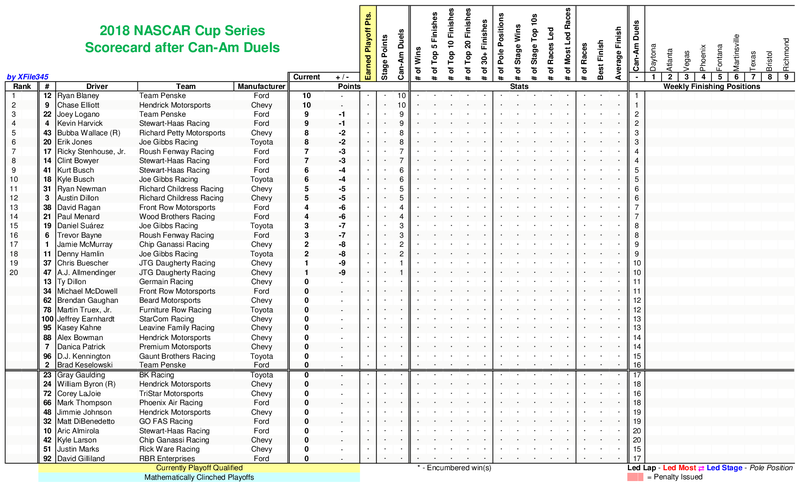 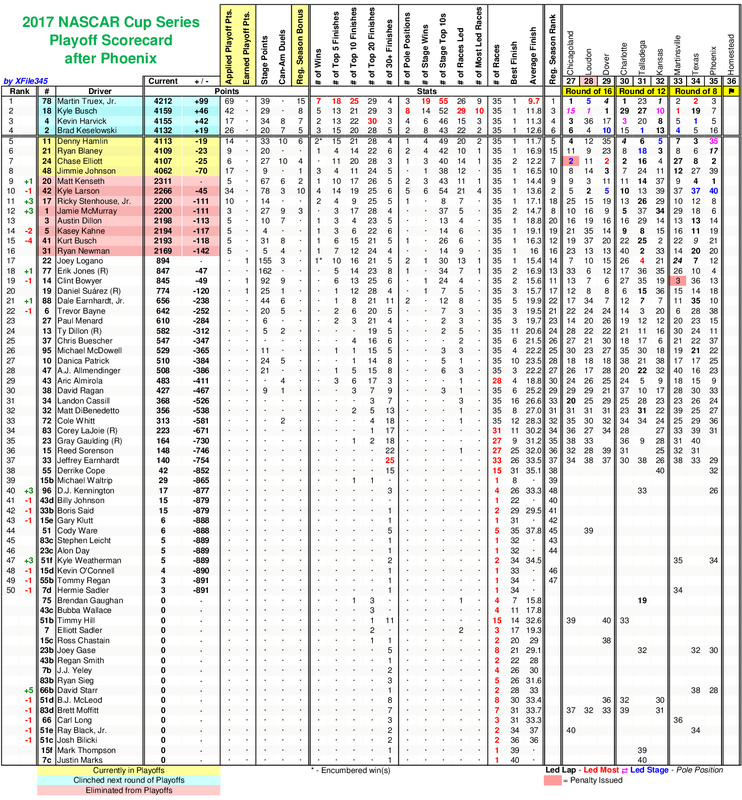 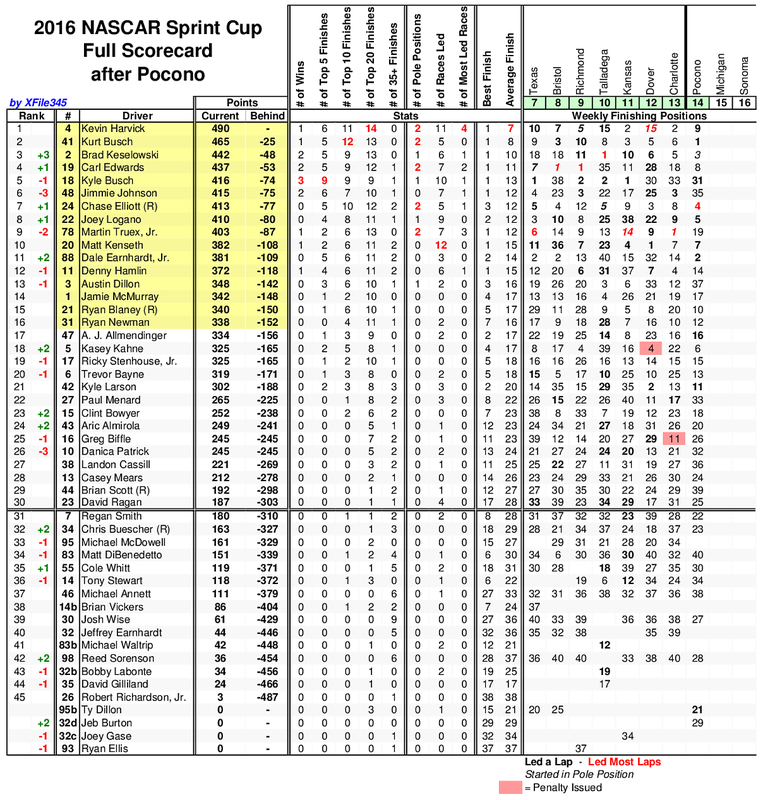 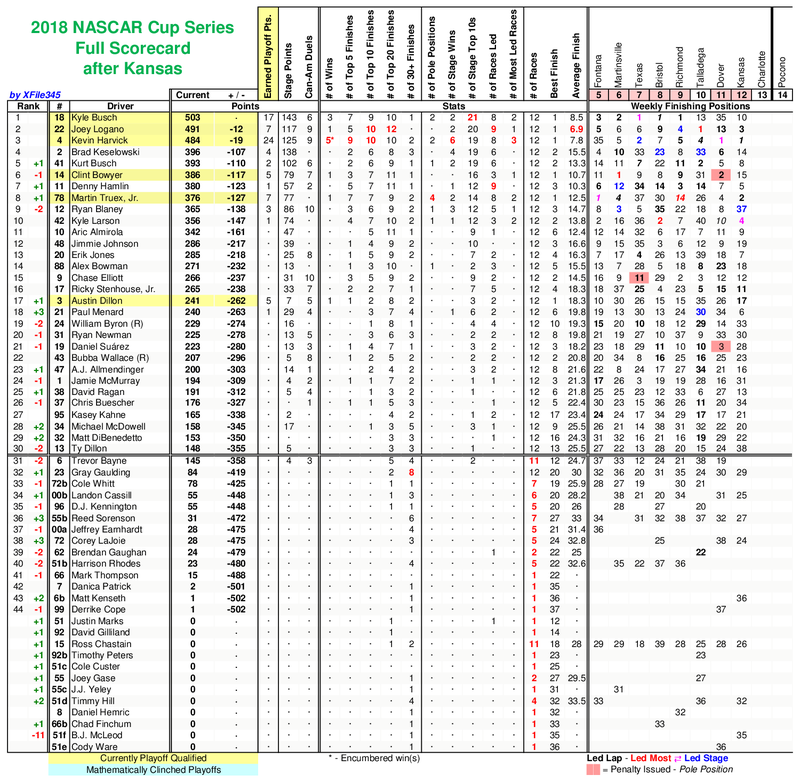 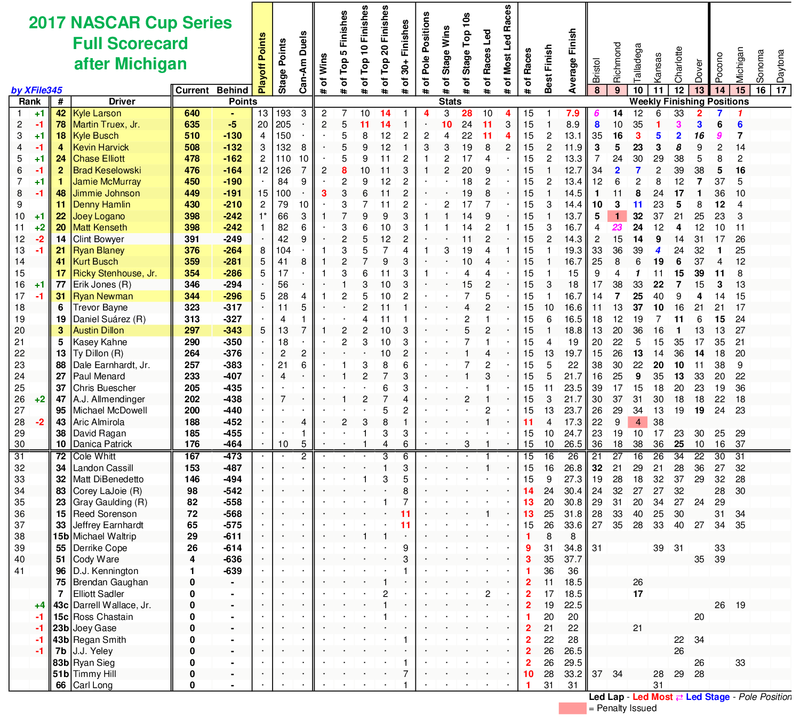 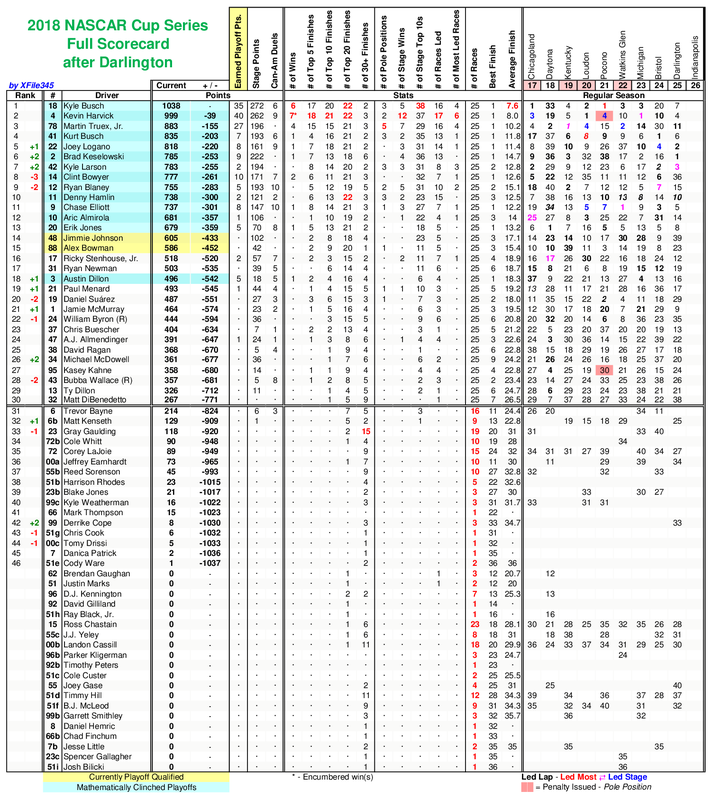 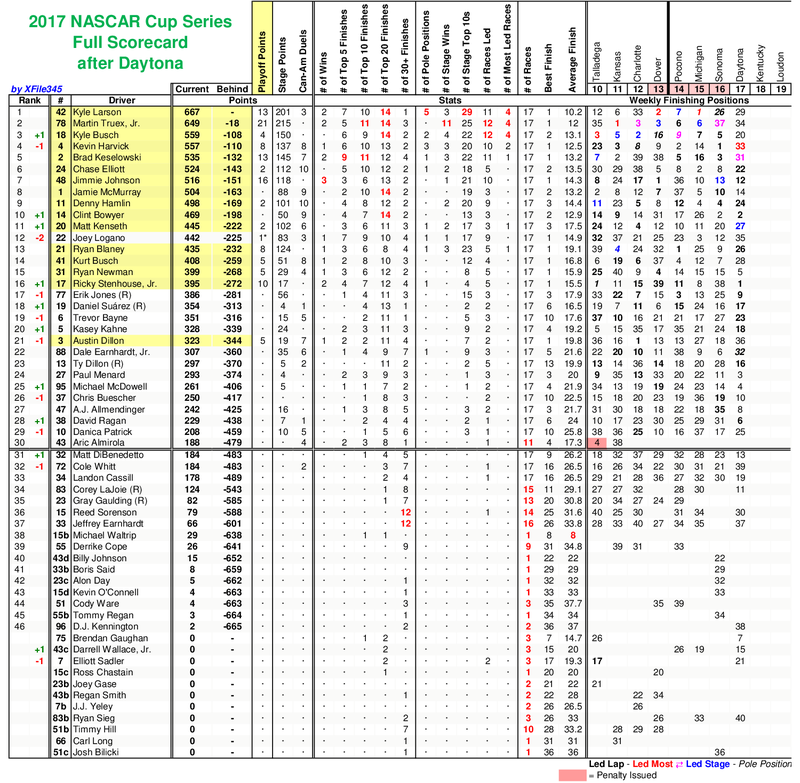 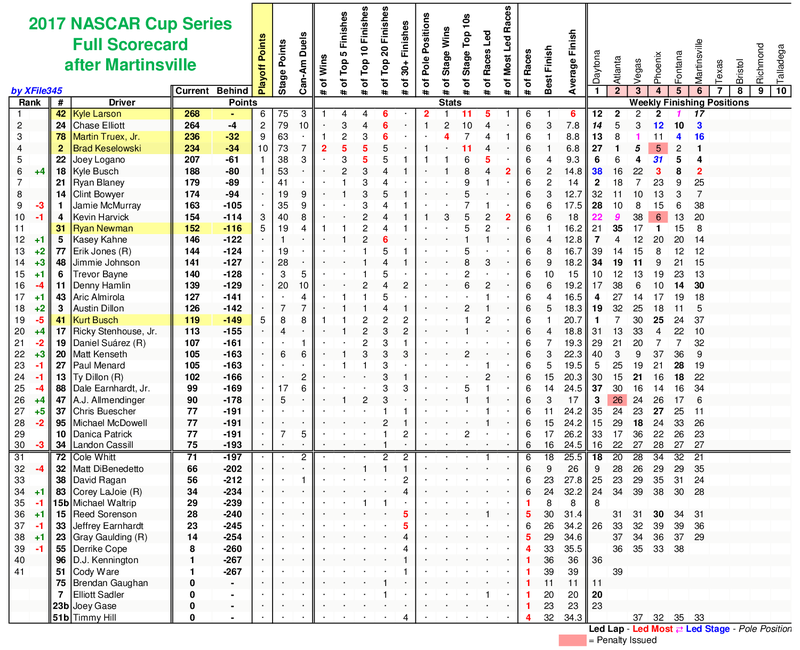 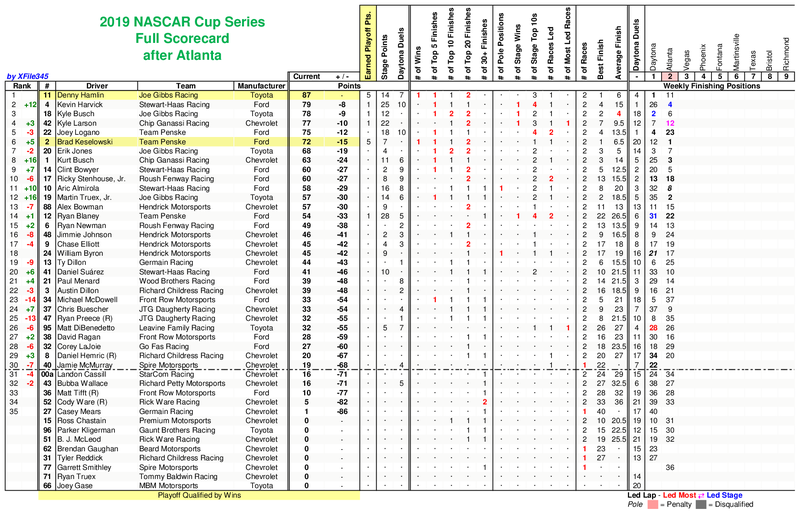 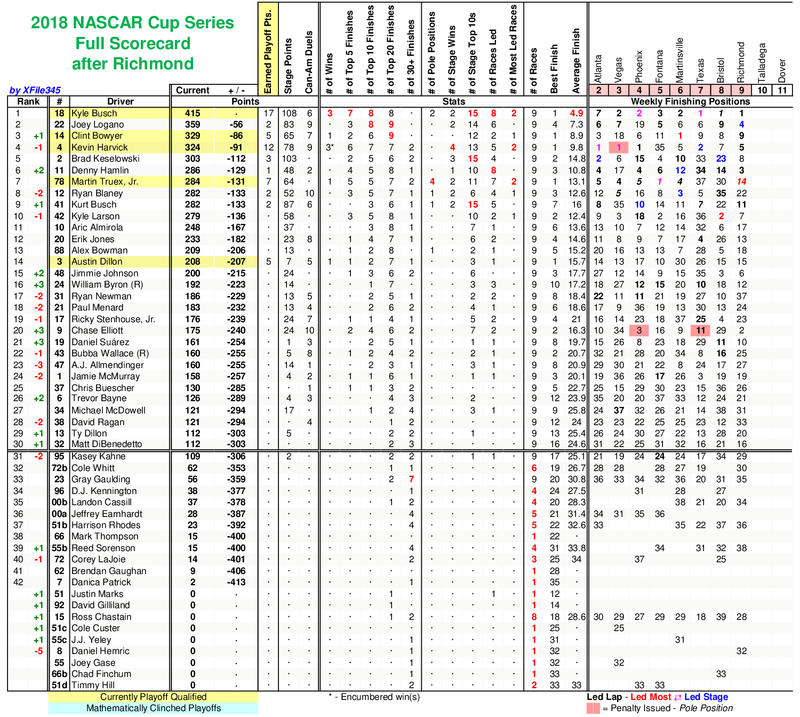 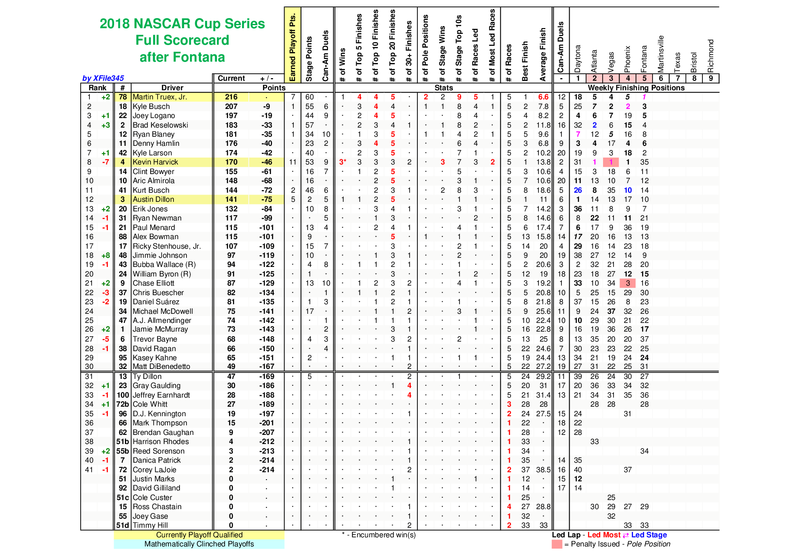 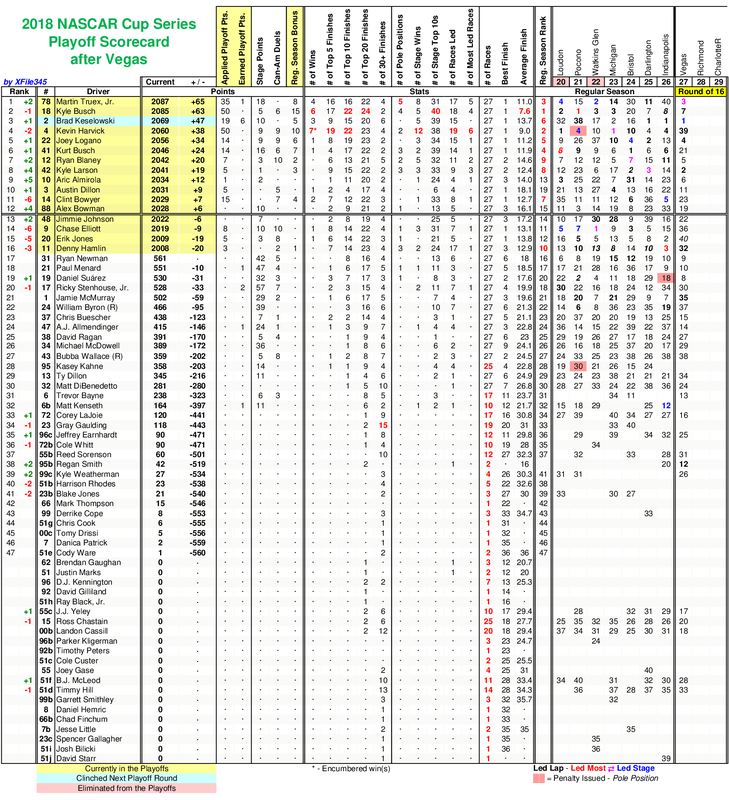 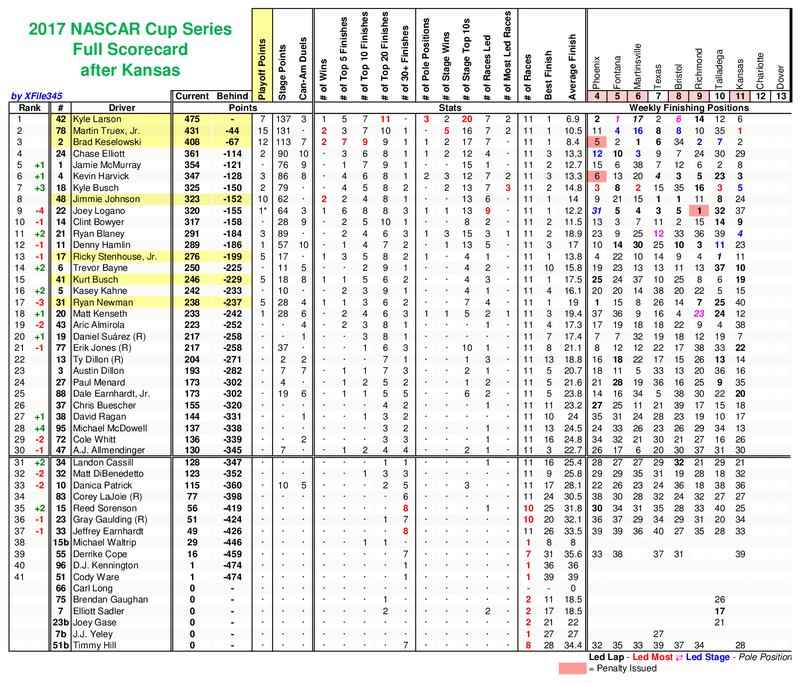 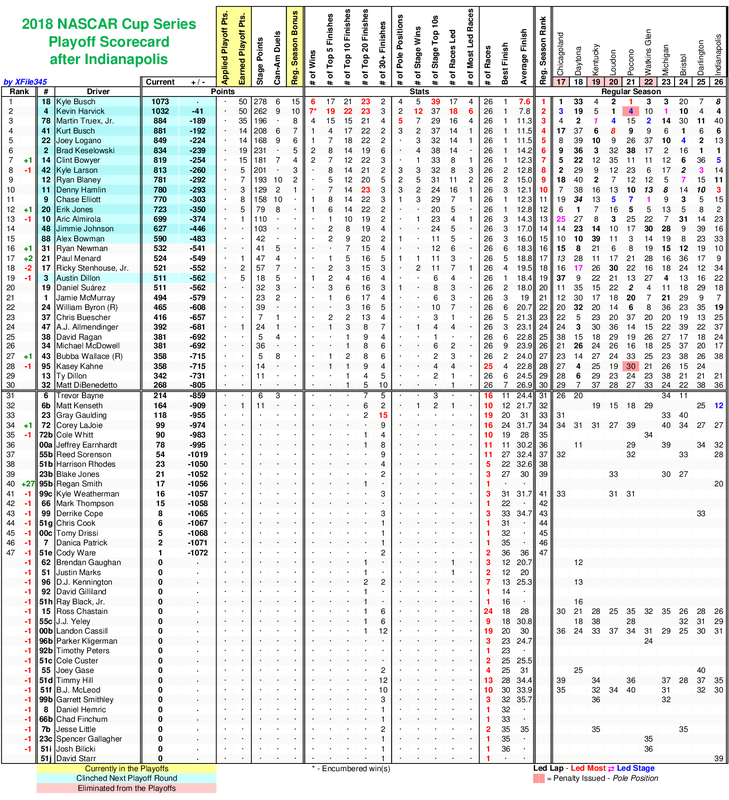 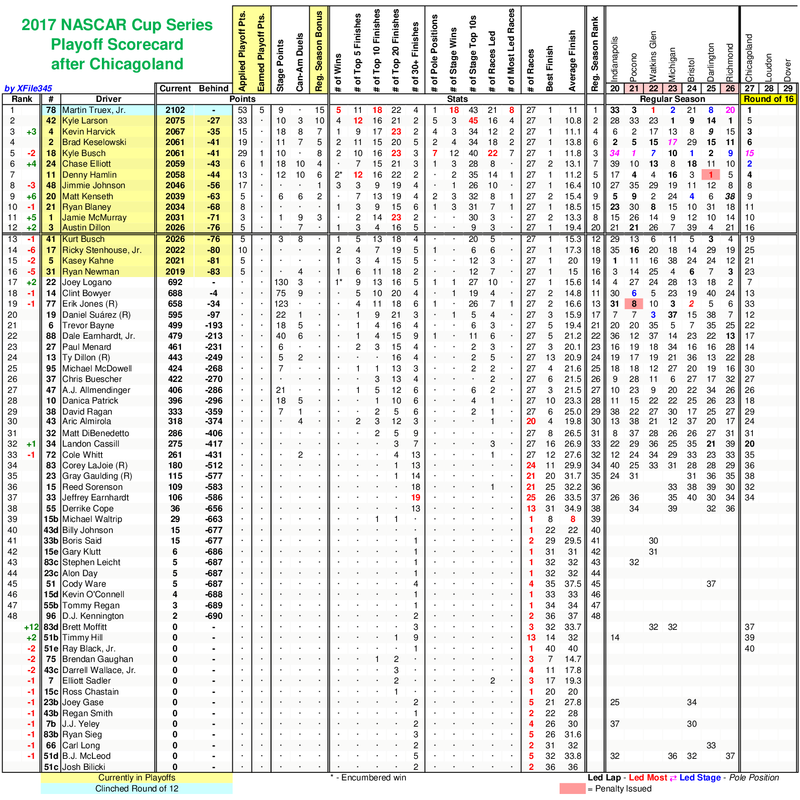 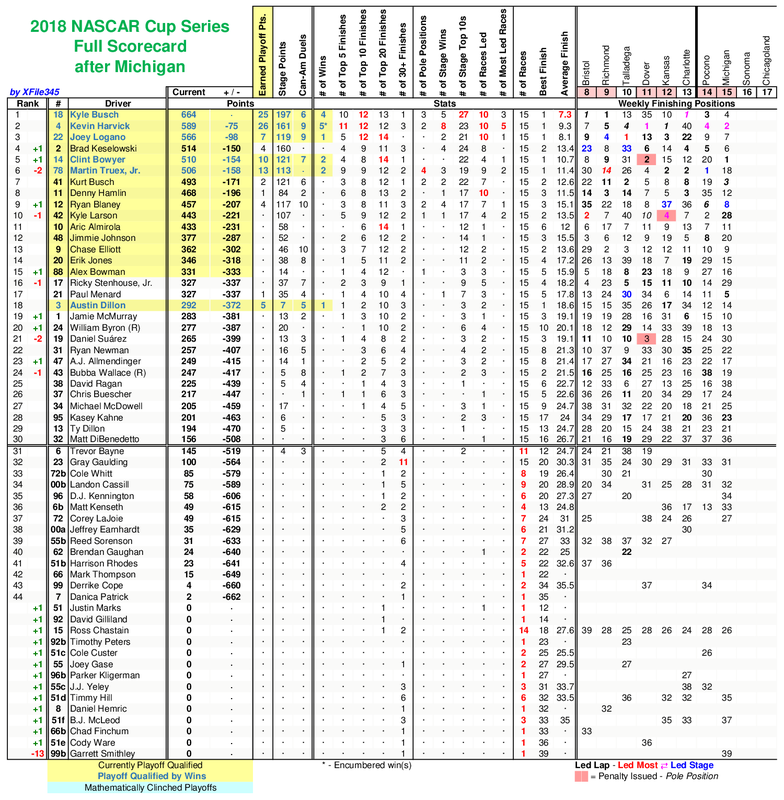 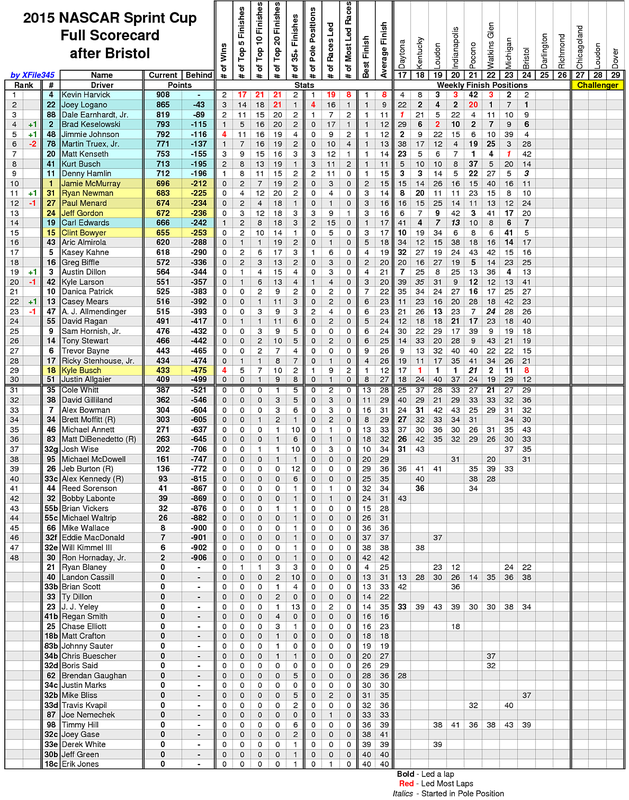 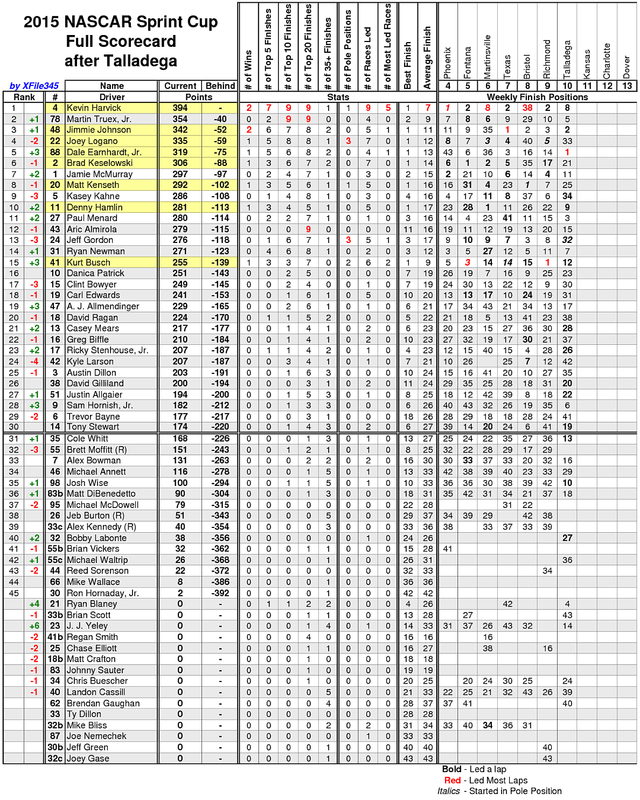 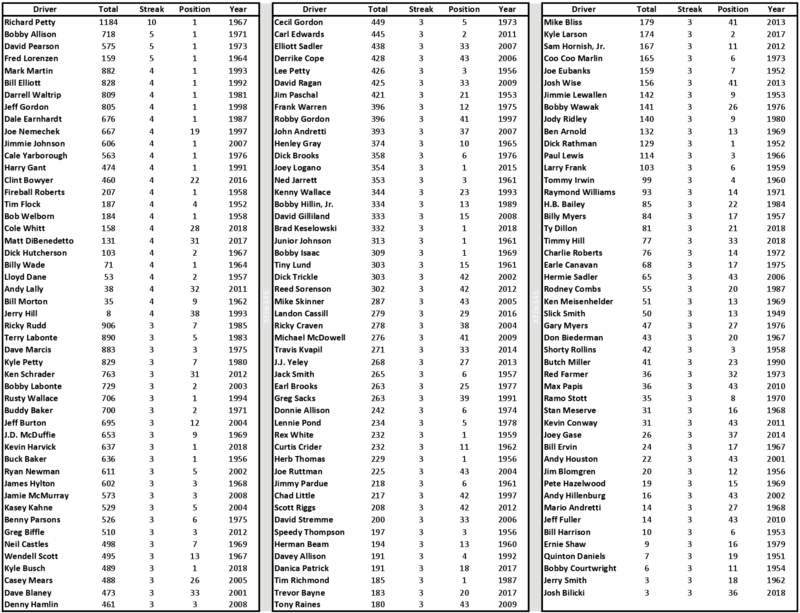 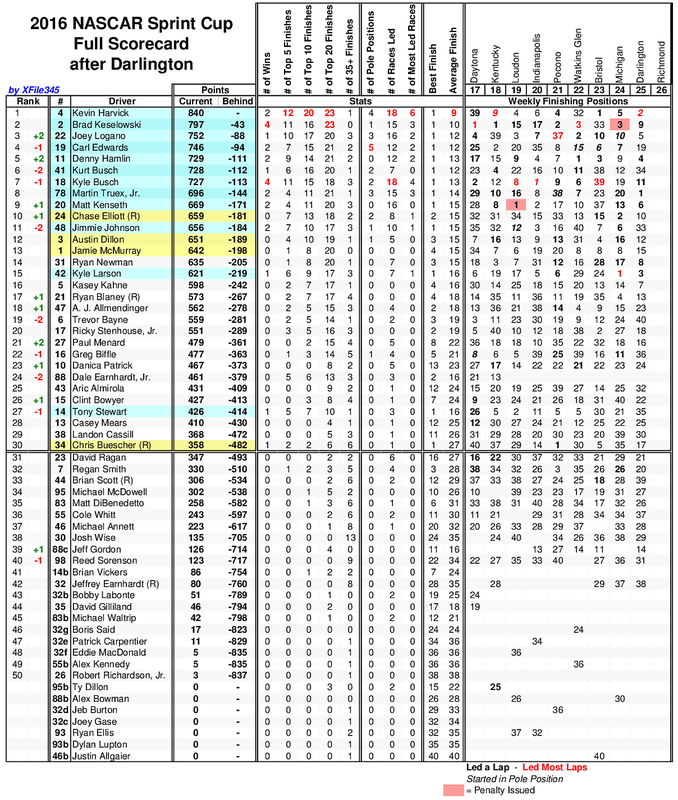 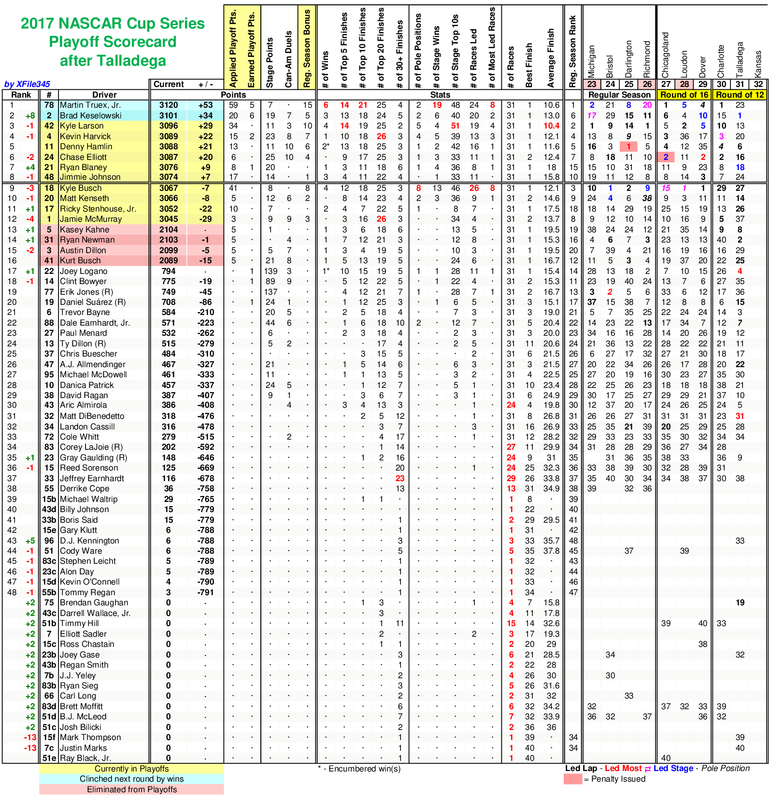 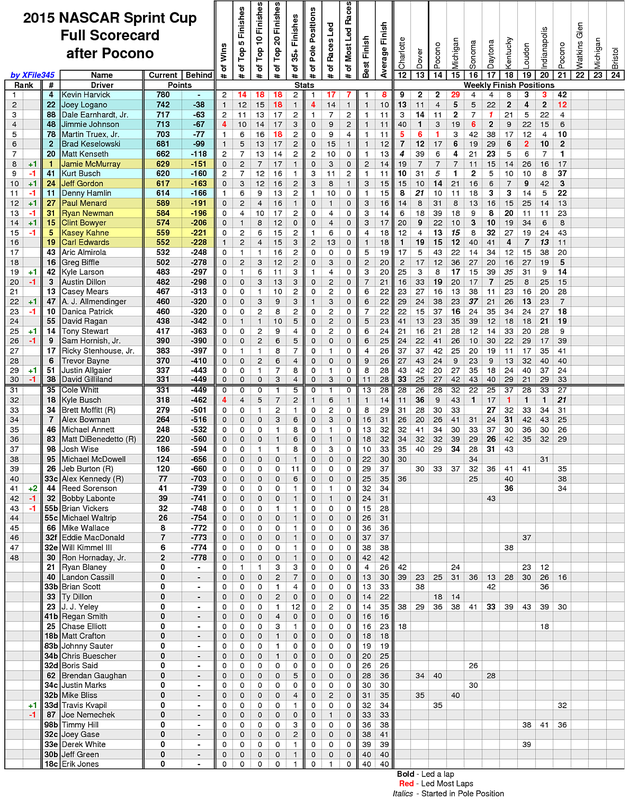 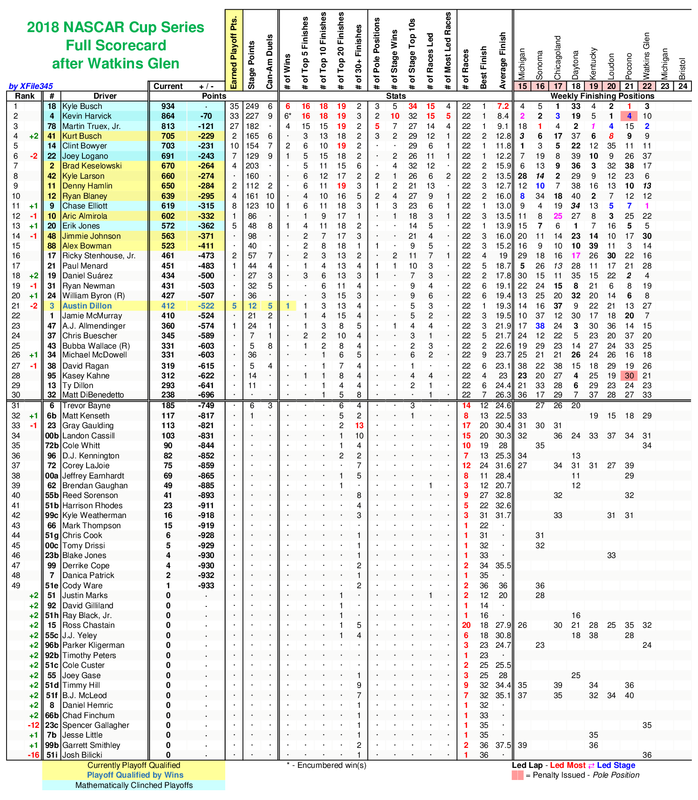 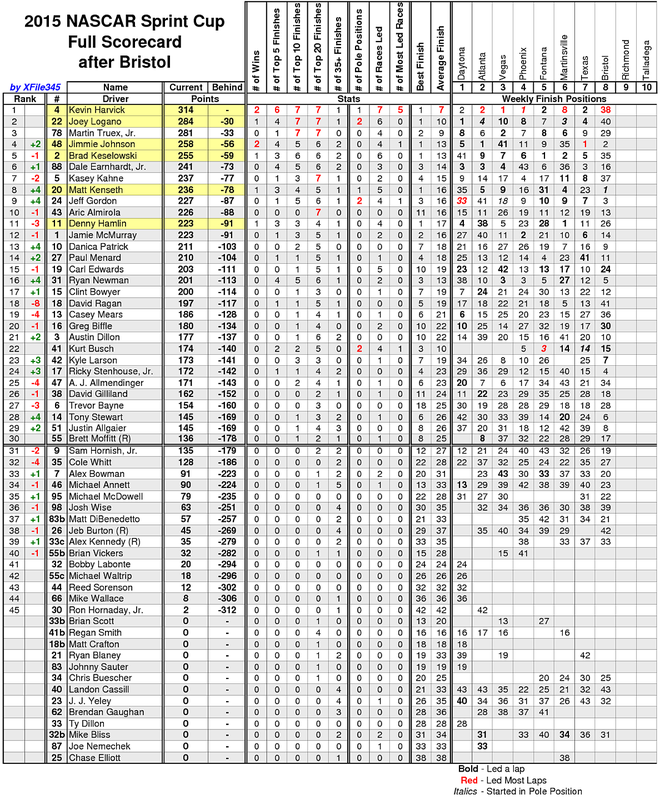 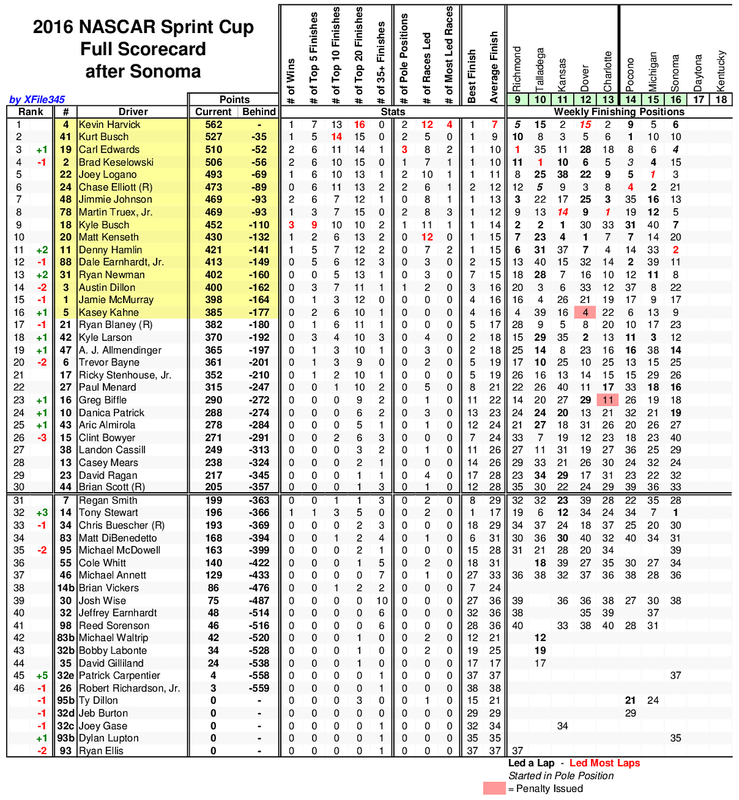 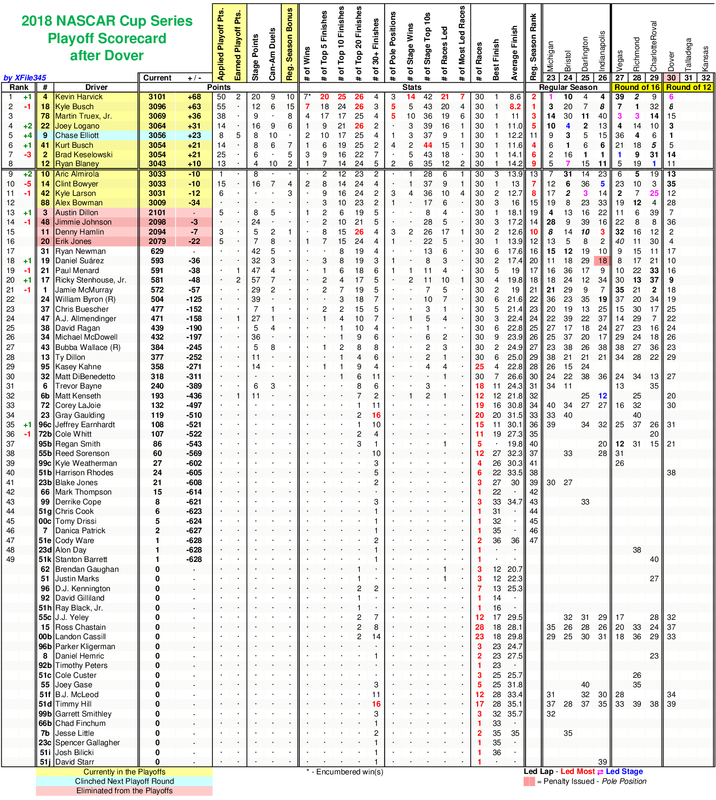 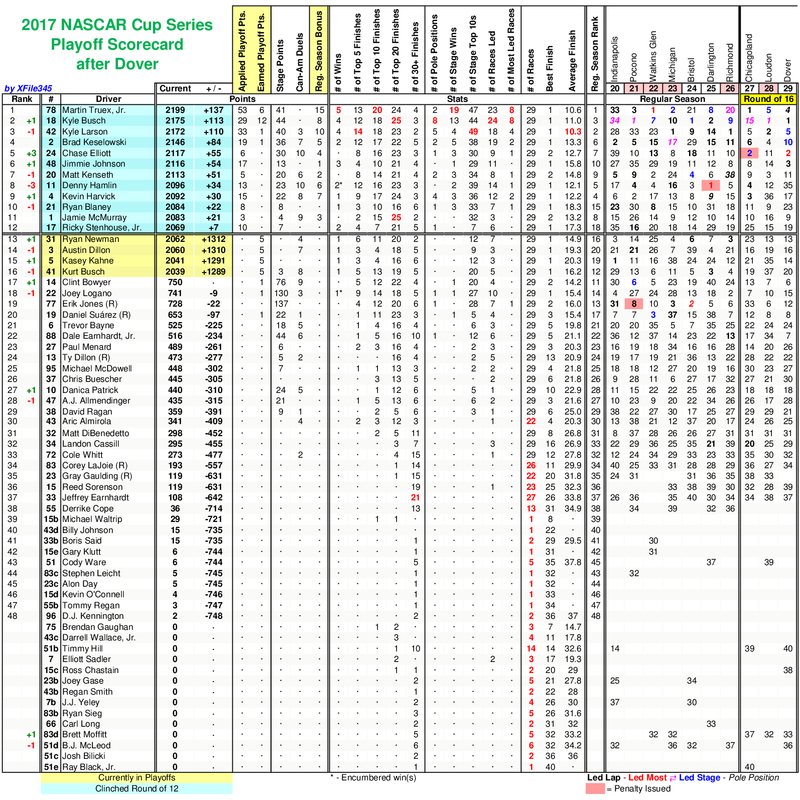 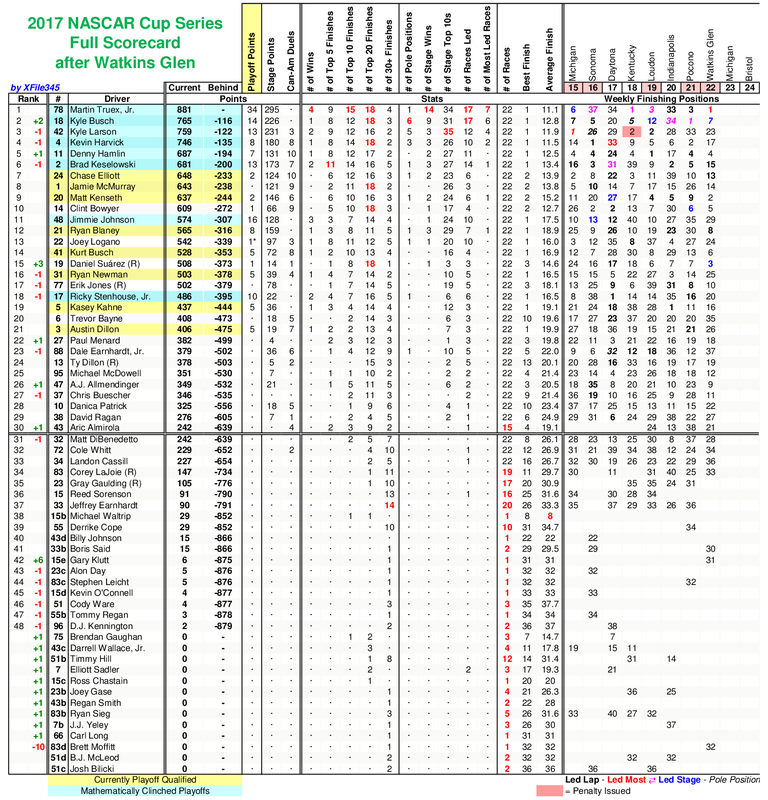 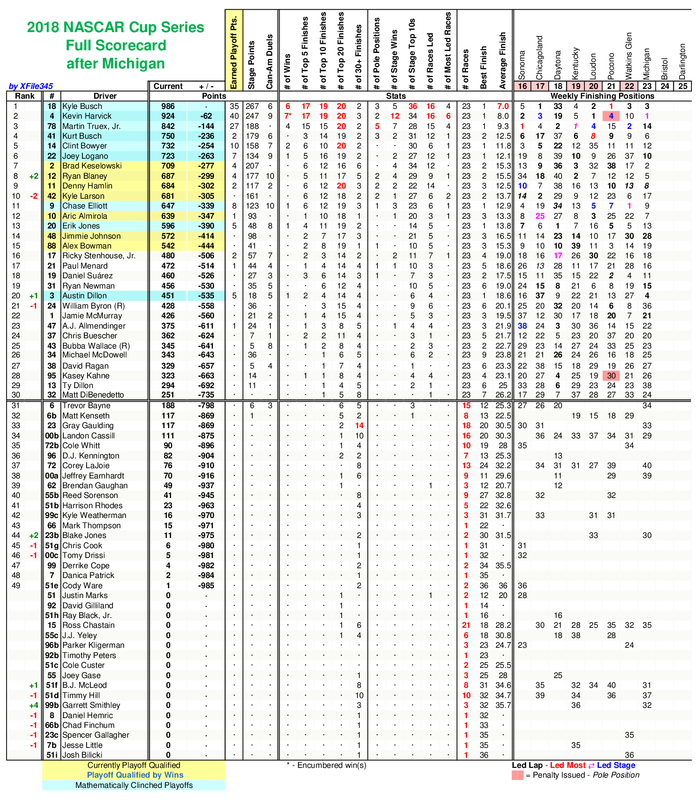 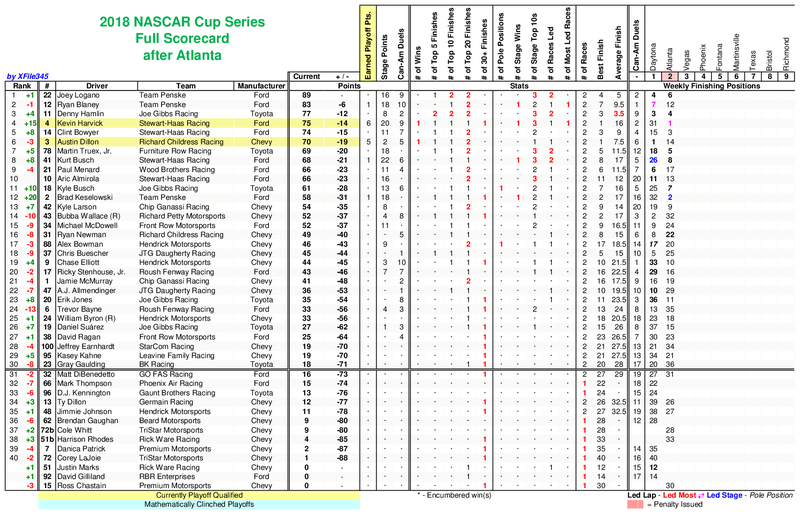 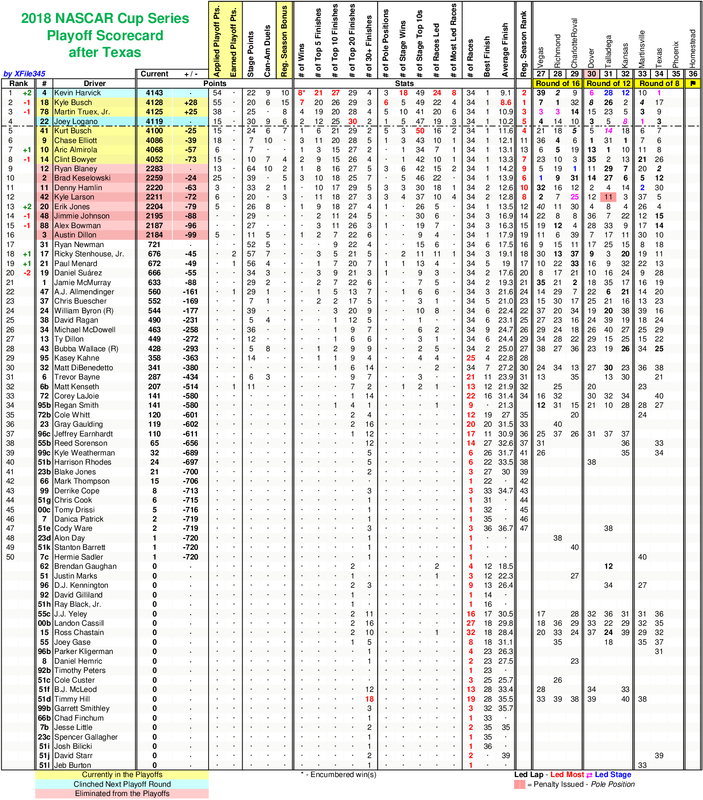 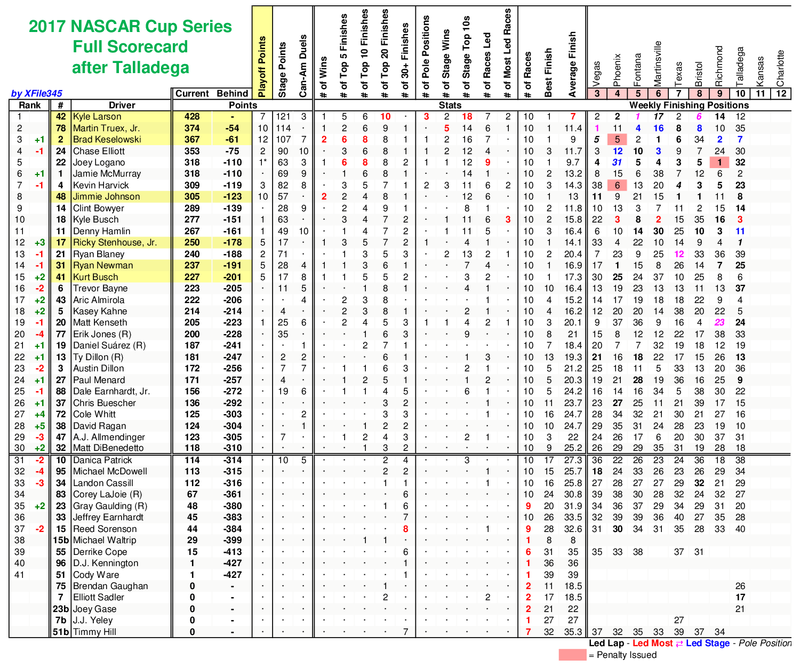 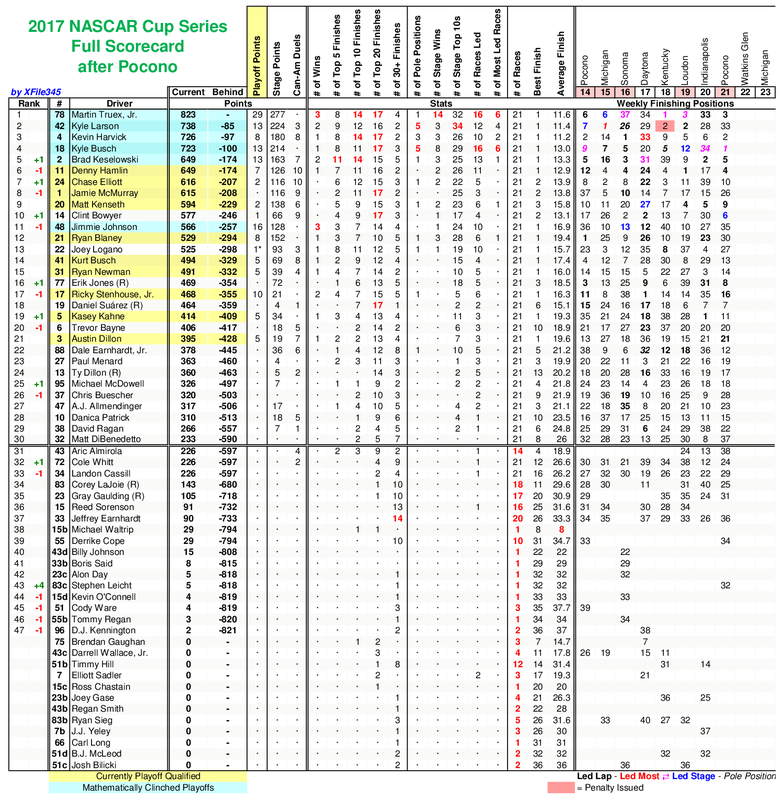 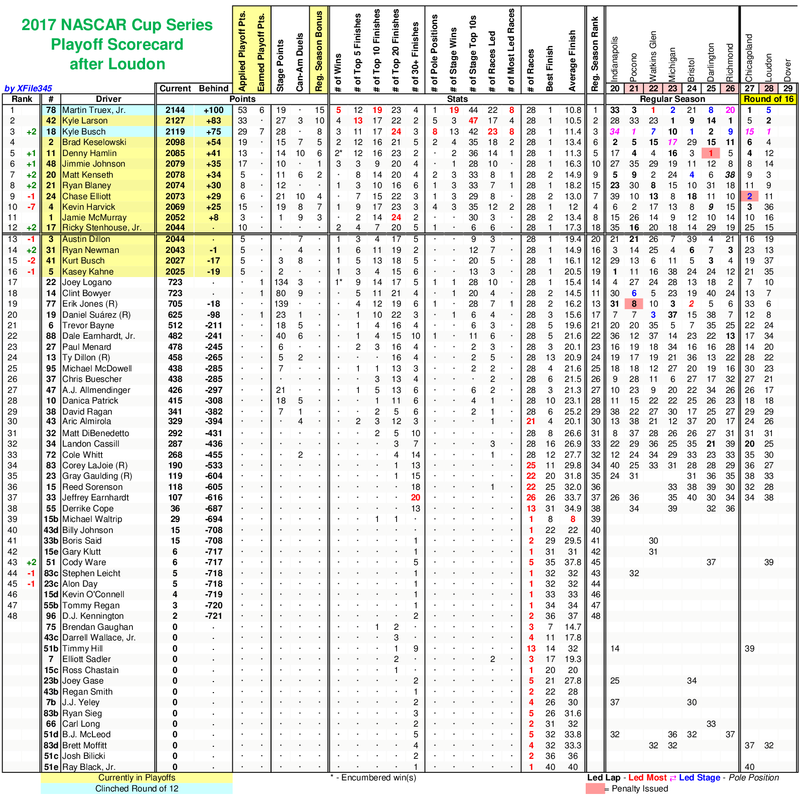 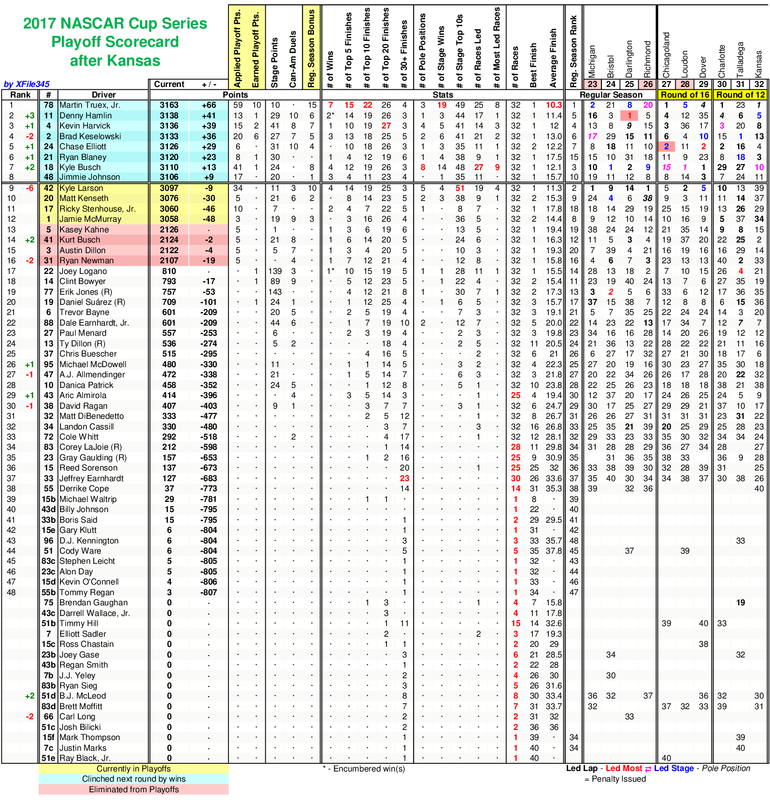 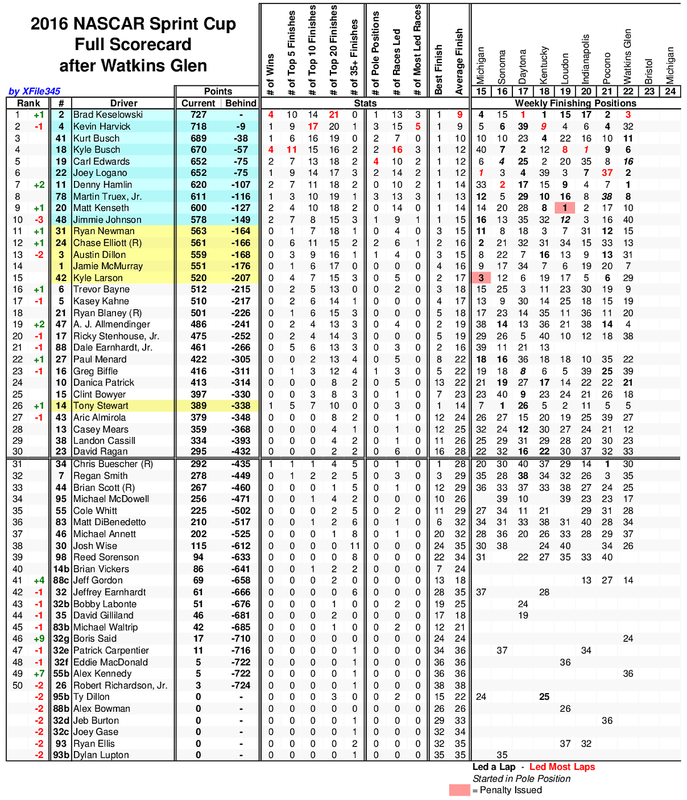 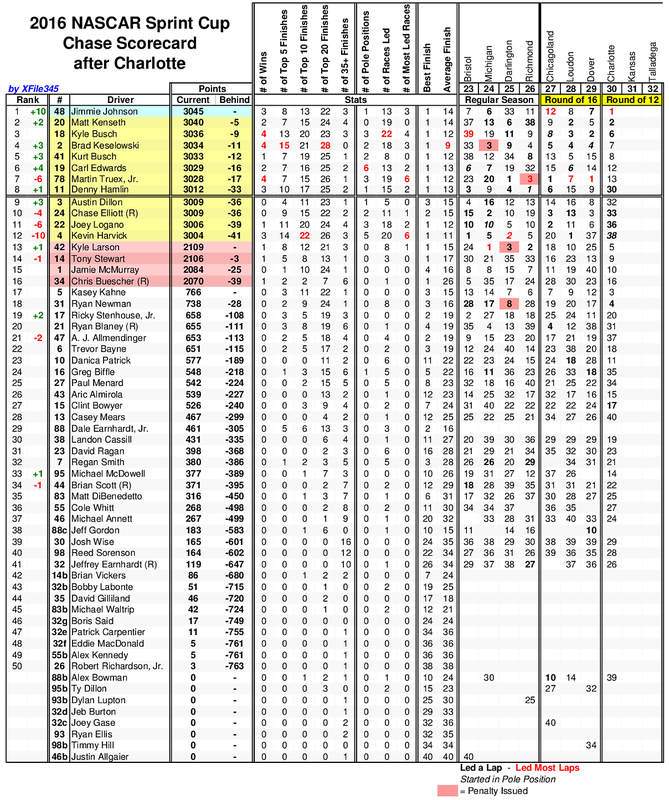 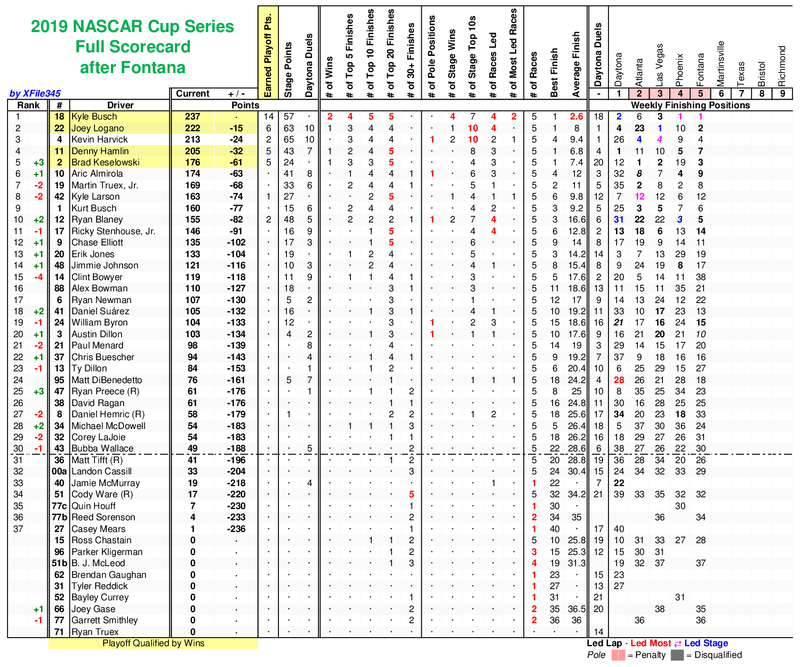 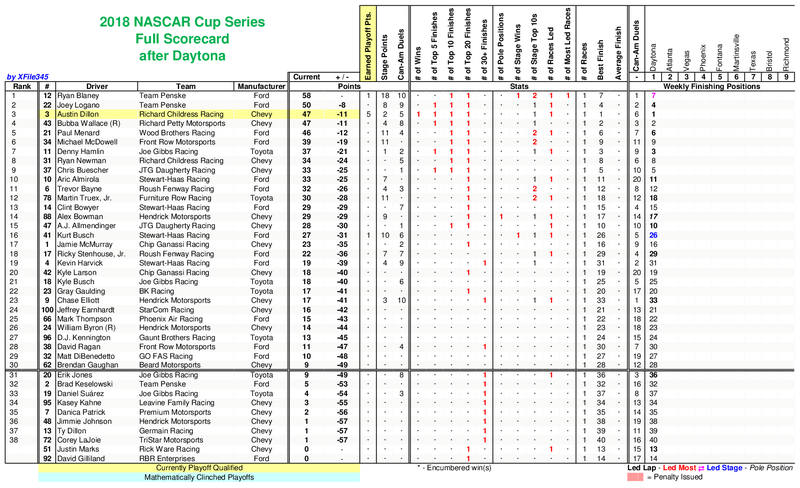 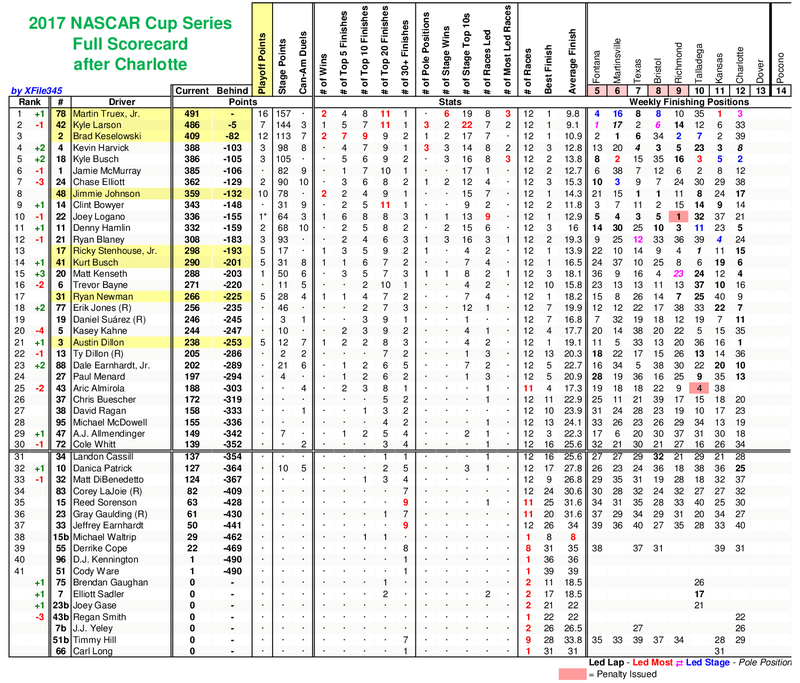 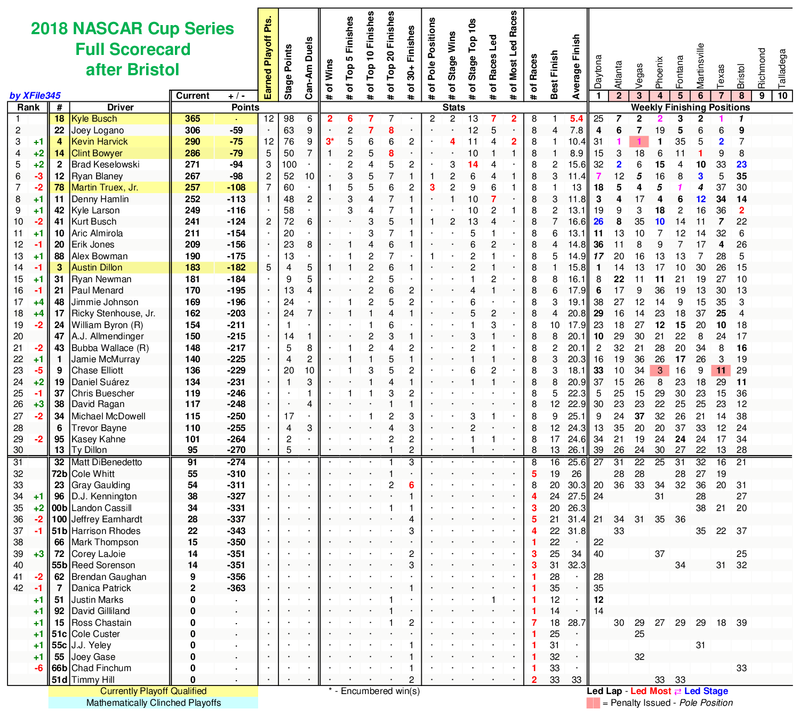 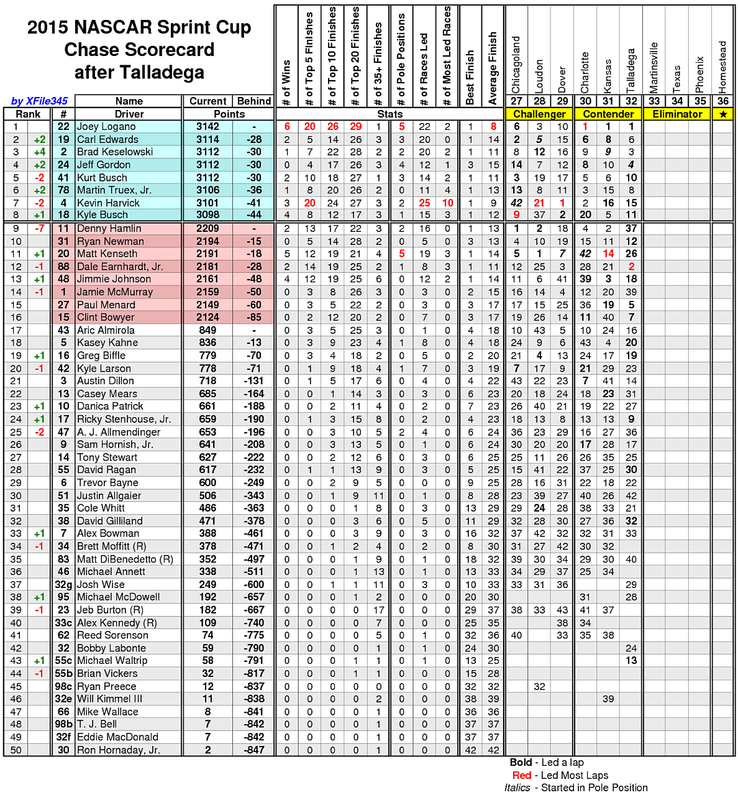 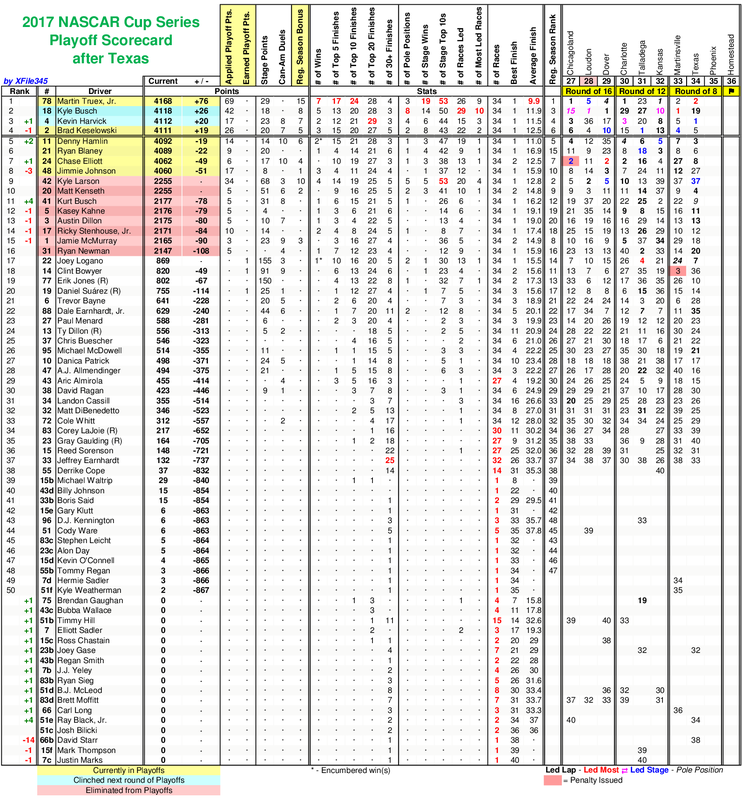 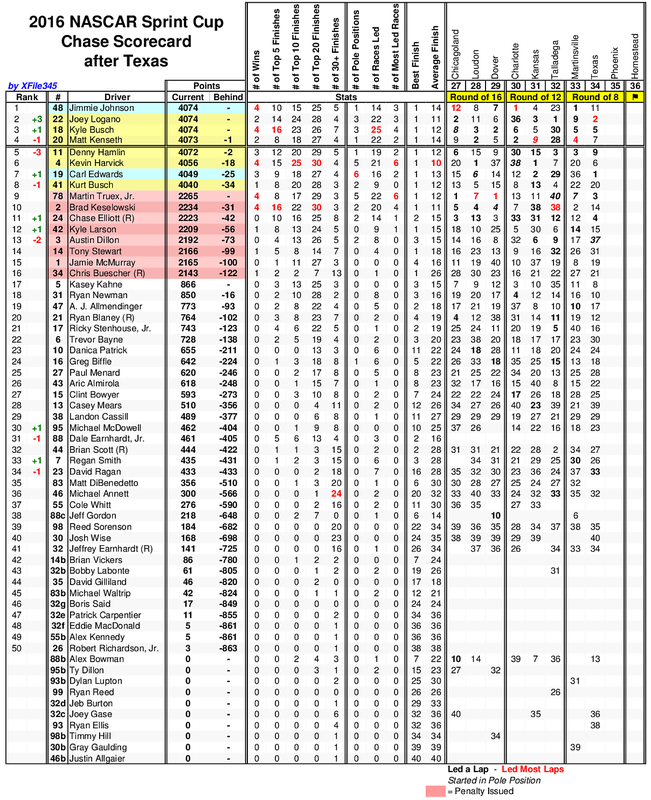 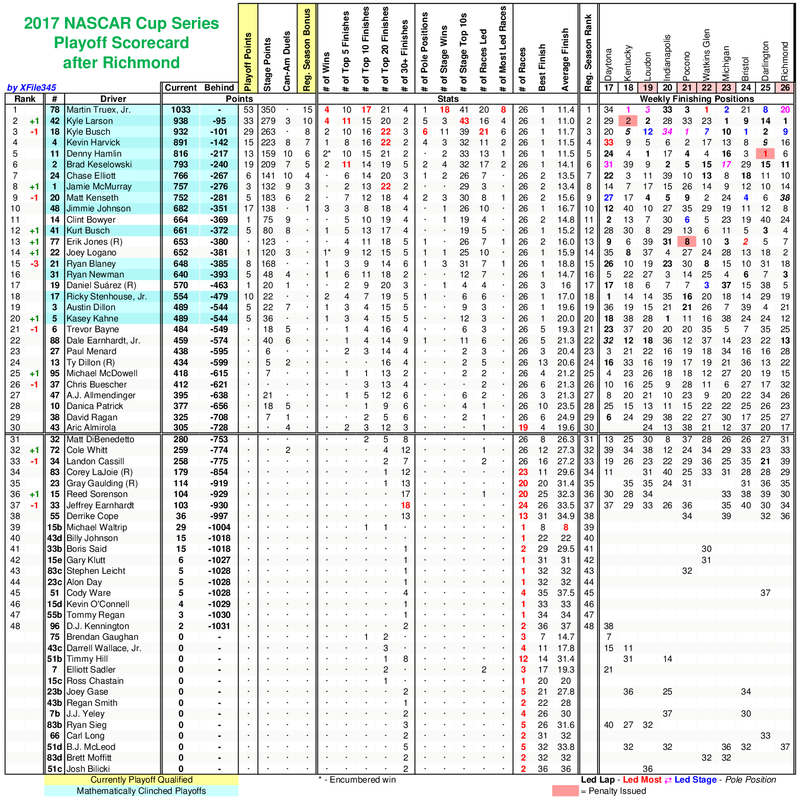 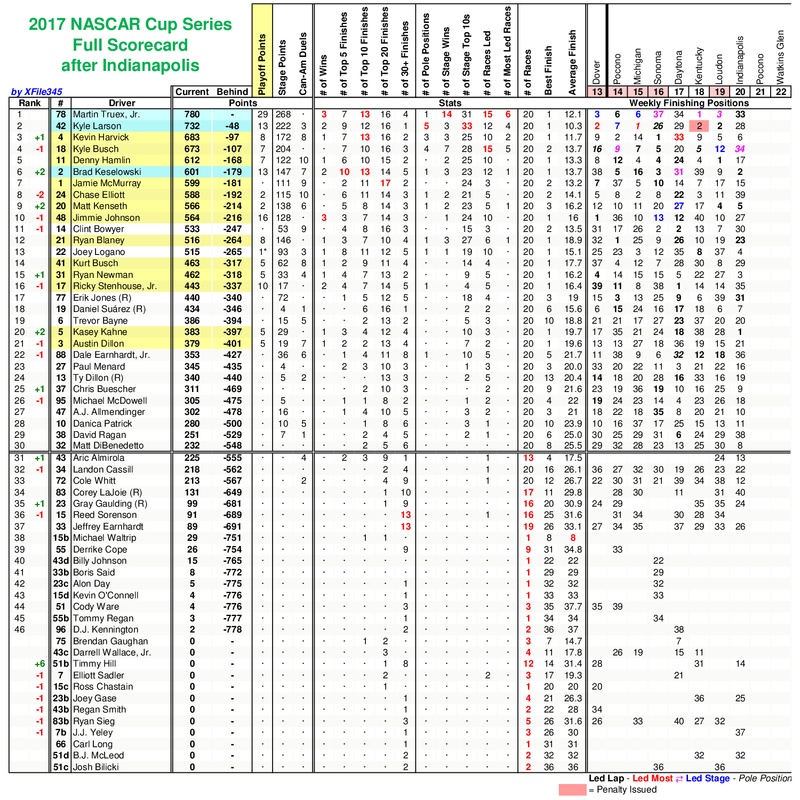 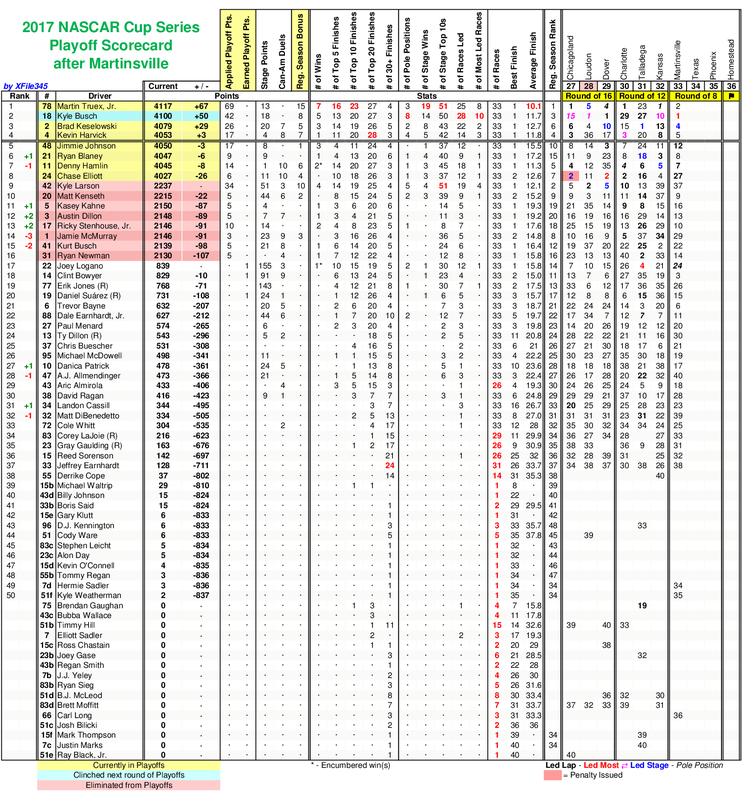 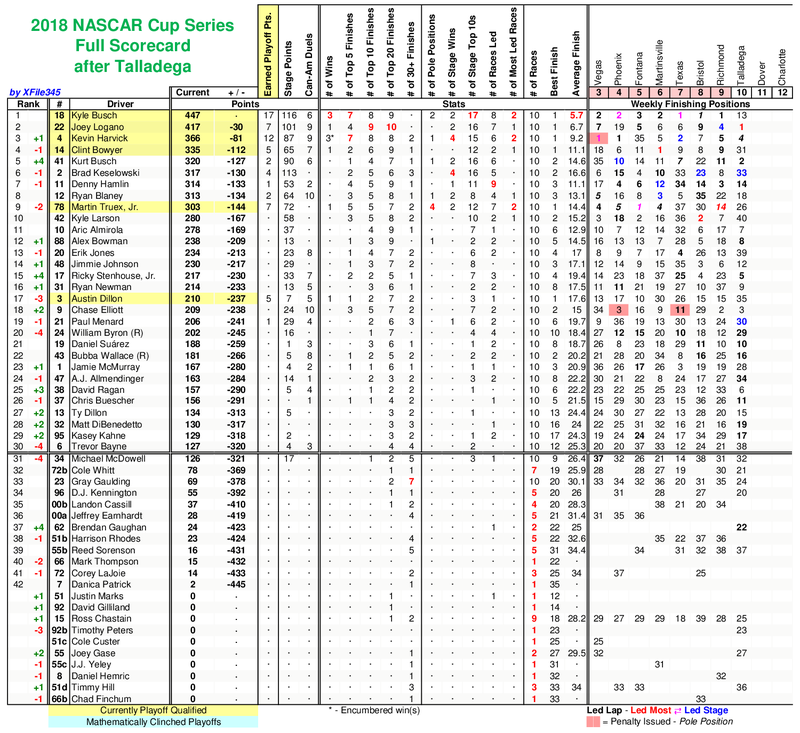 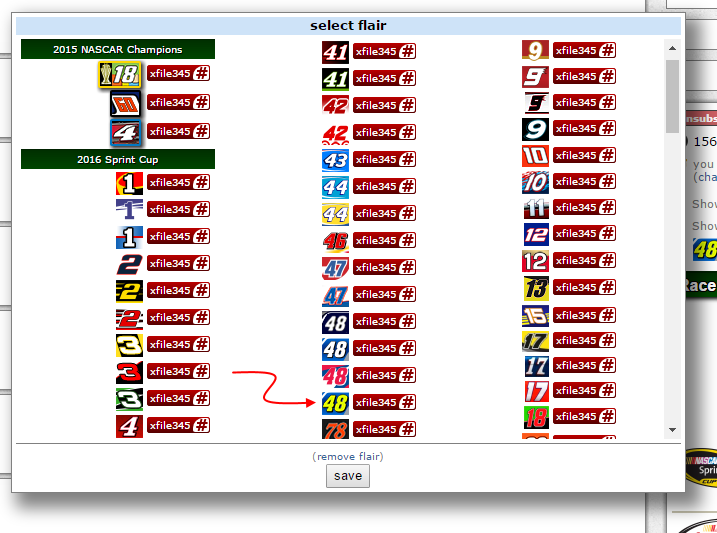 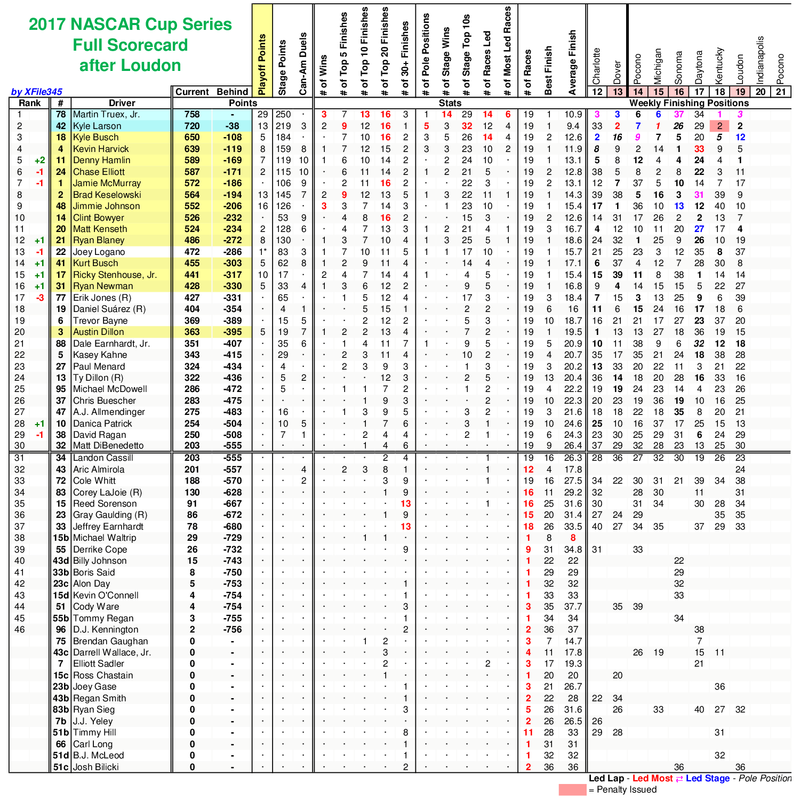 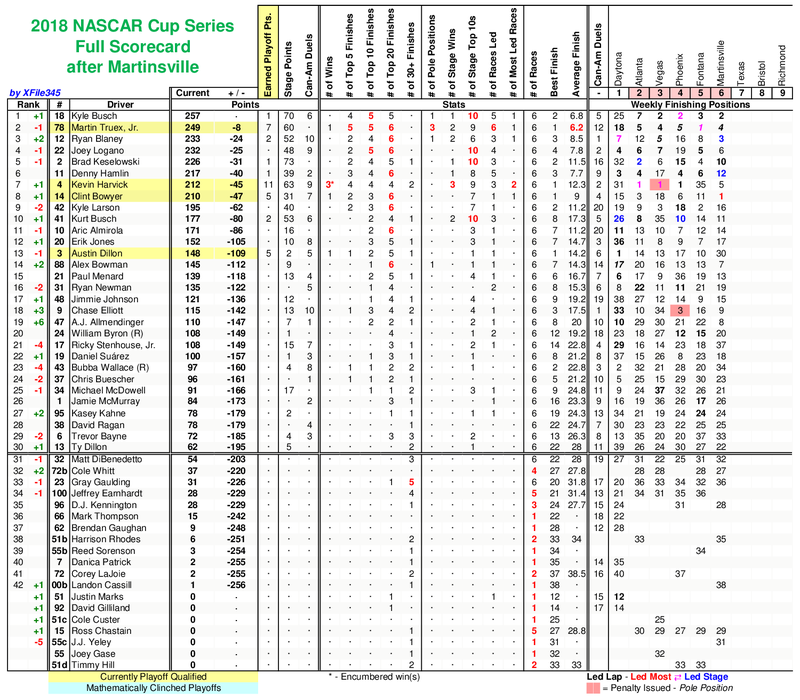 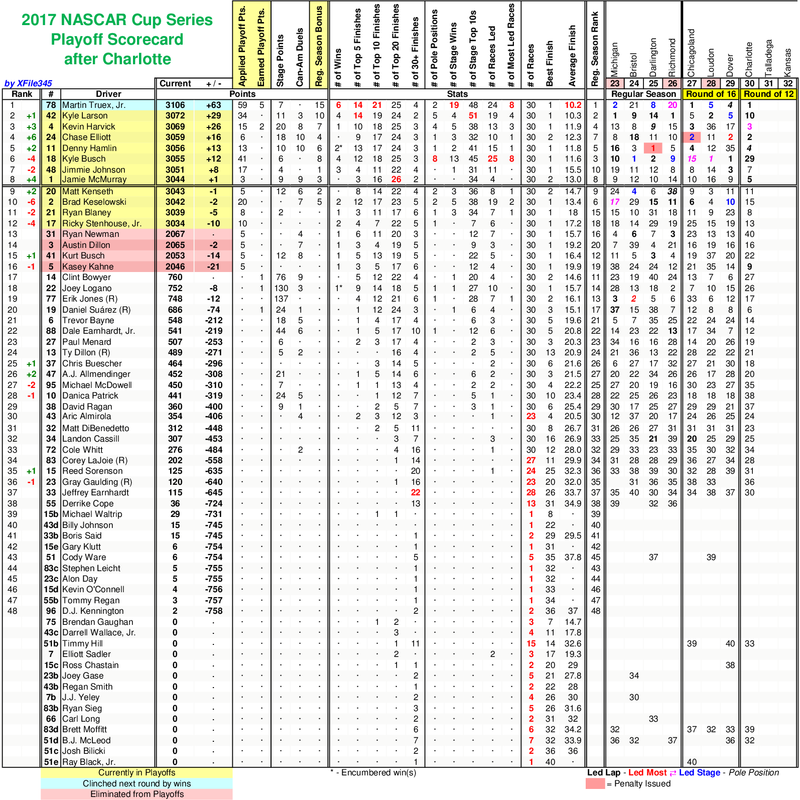 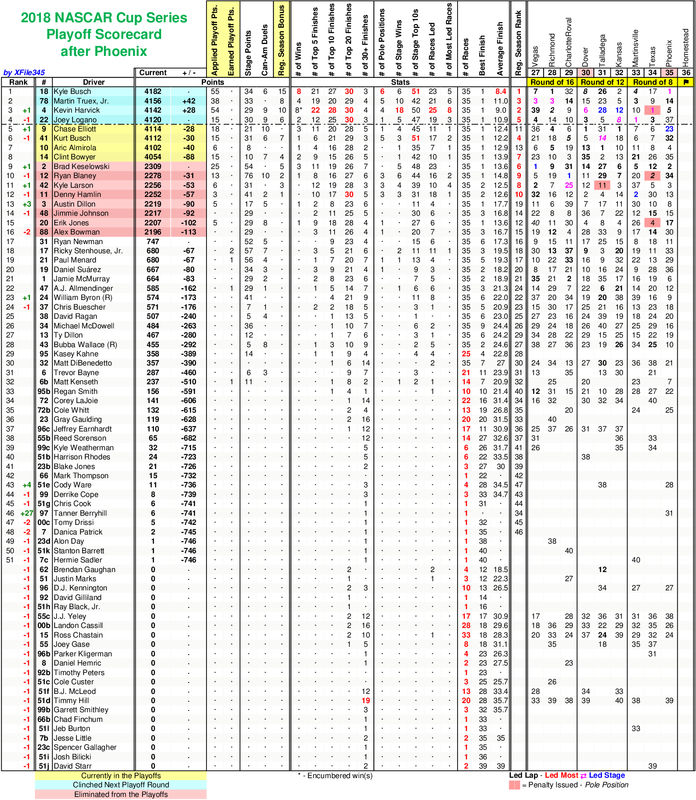 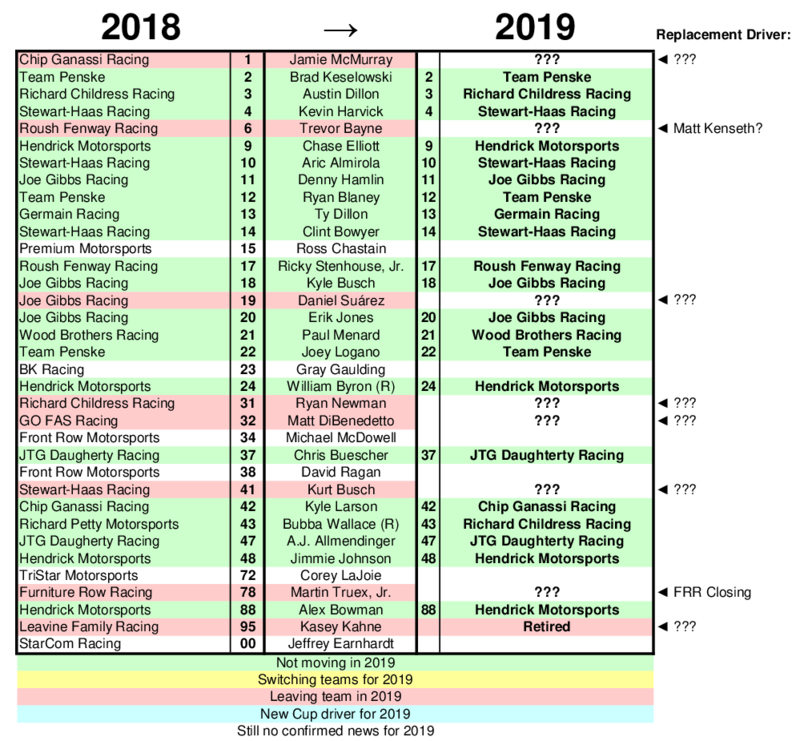 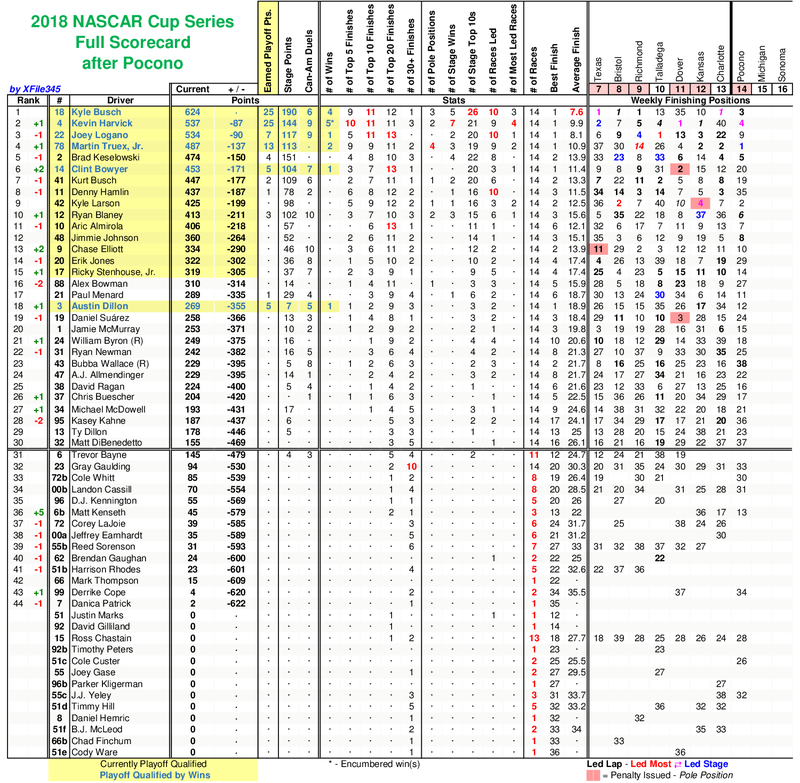 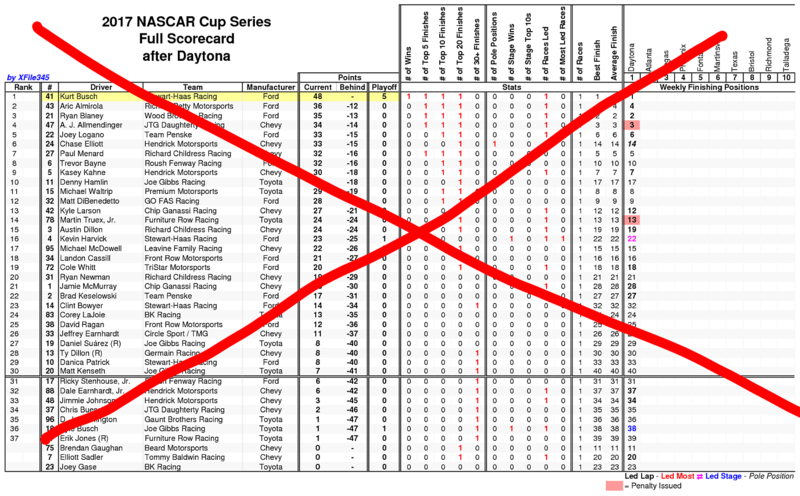 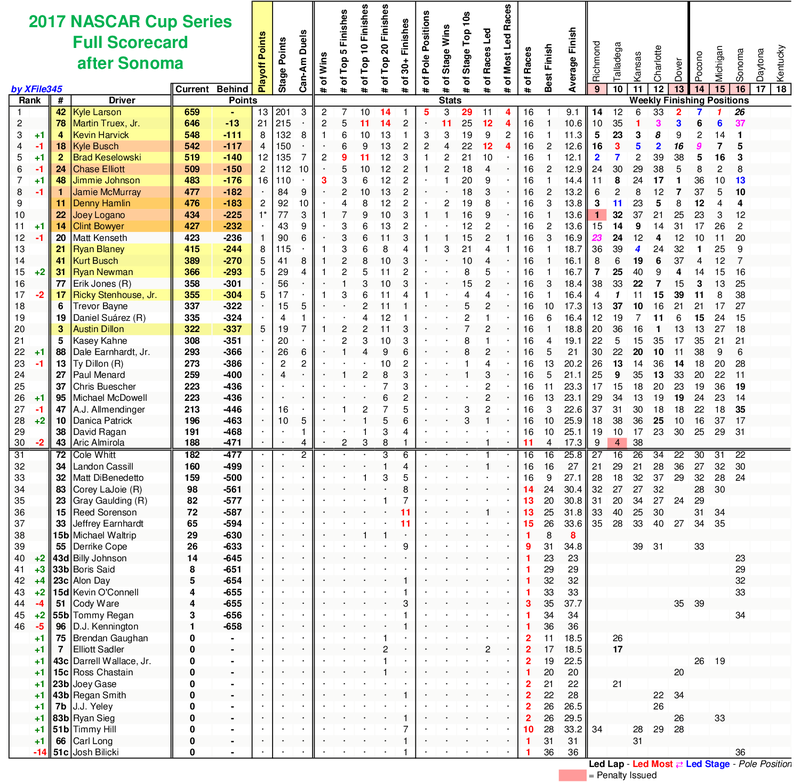 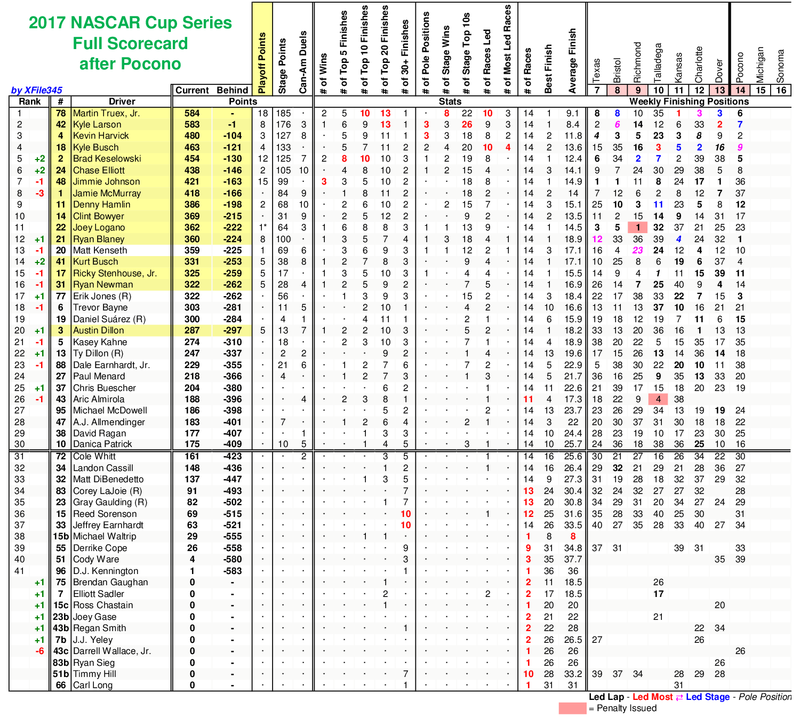 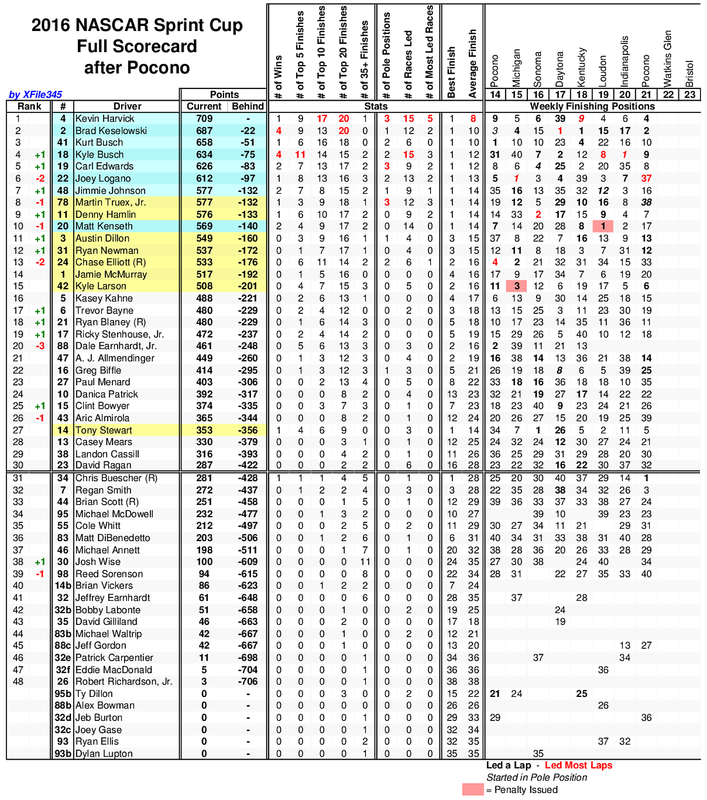 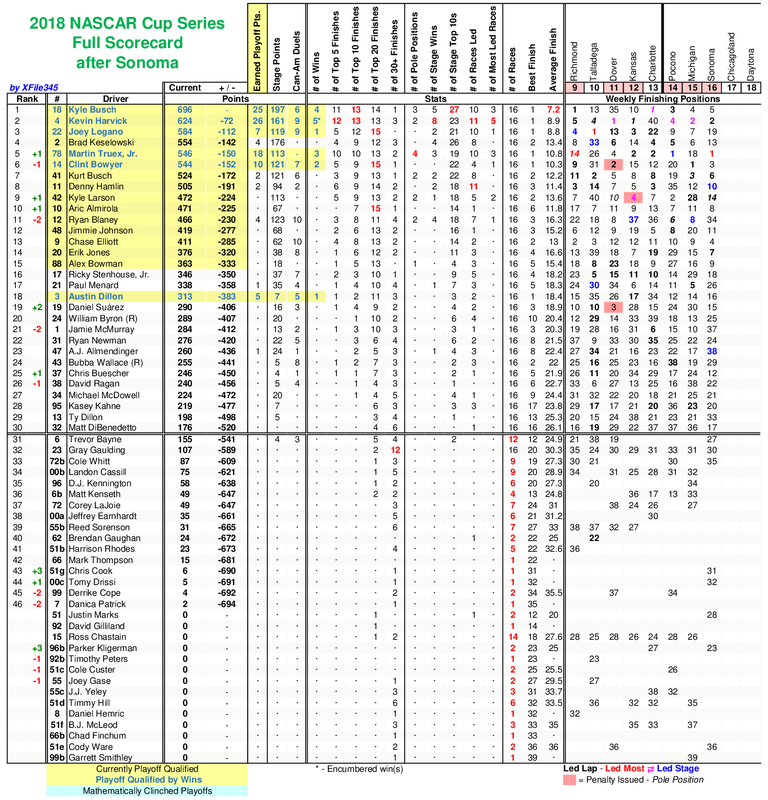 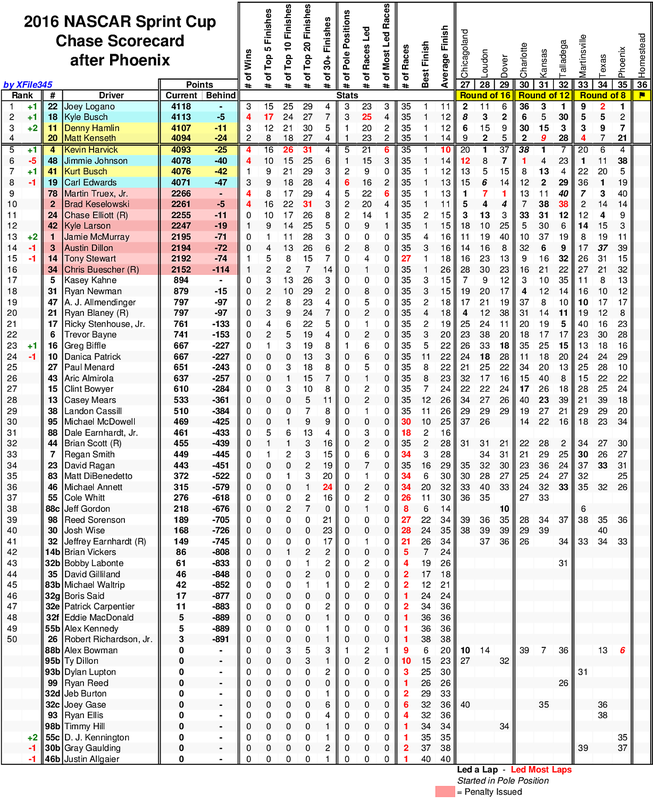 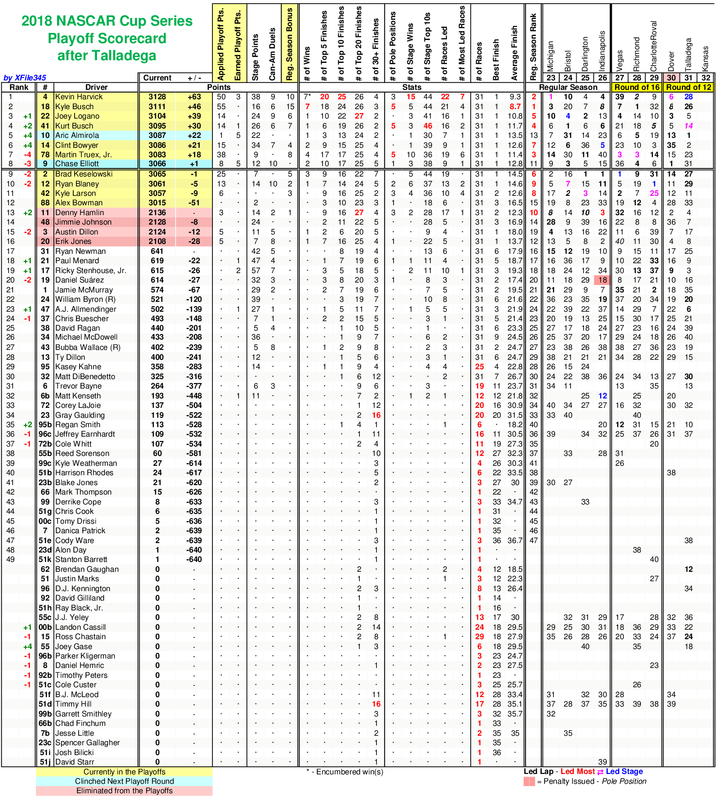 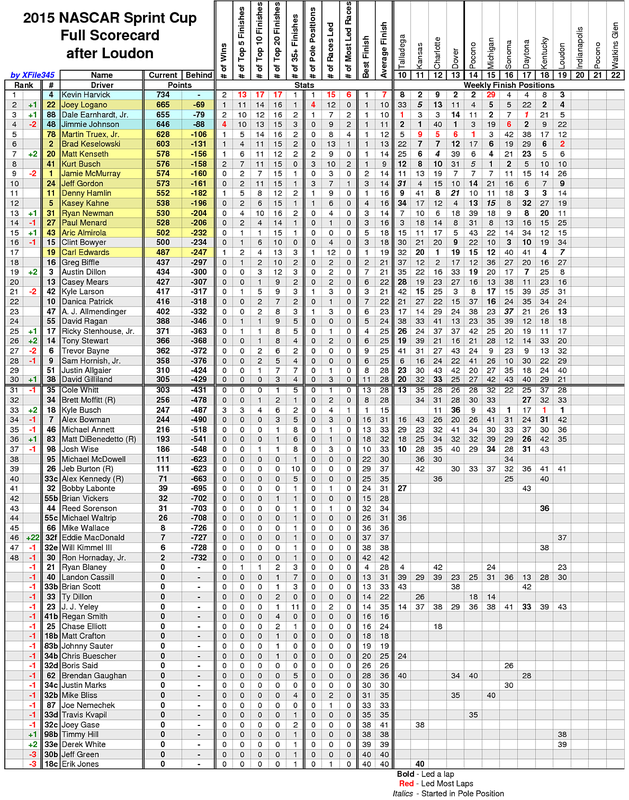 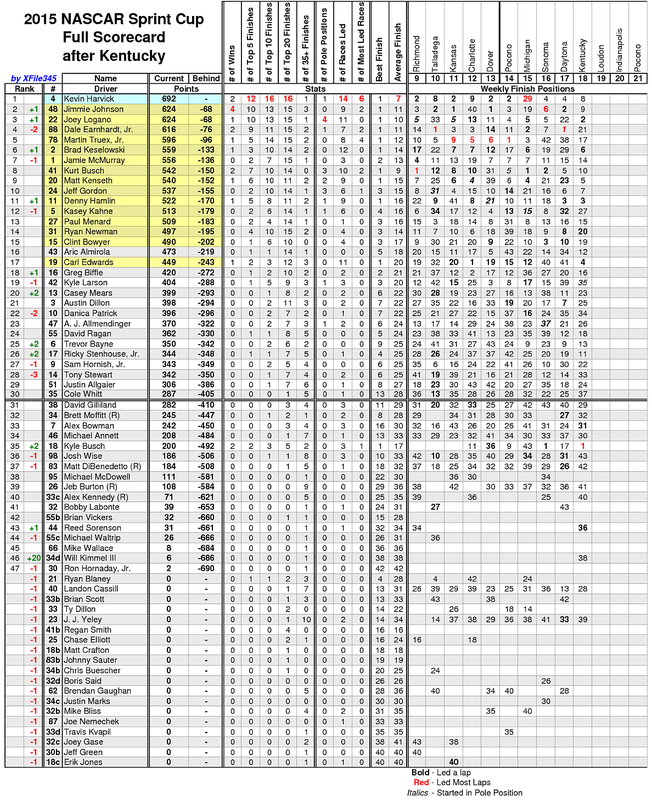 So I made a list of all Cup Series streaks of 3 or more races in ANY position since 1949. 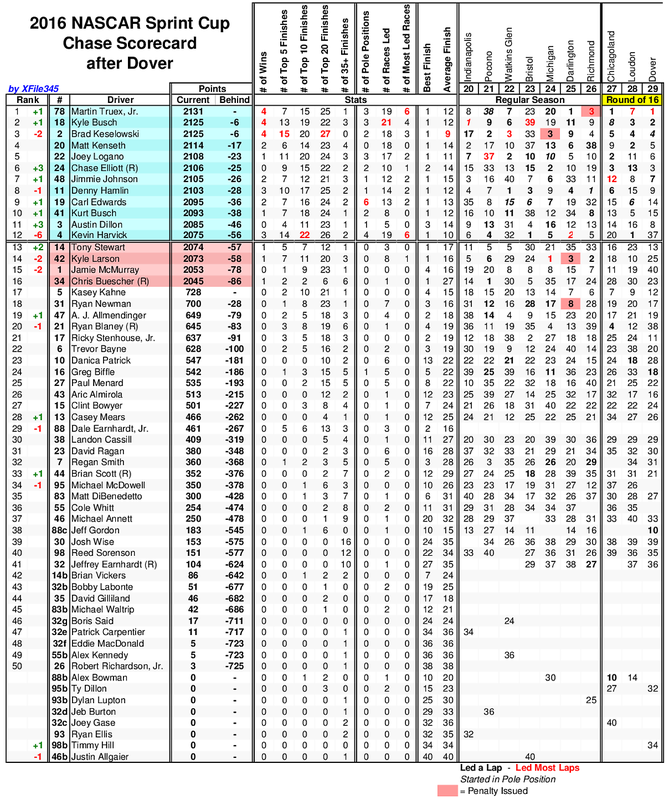 After years of being lost, I finally found my favorite item of NASCAR memorabilia: A Dale Earnhardt, Sr. trading card I had autographed at a Chevrolet dealership in the 90s. 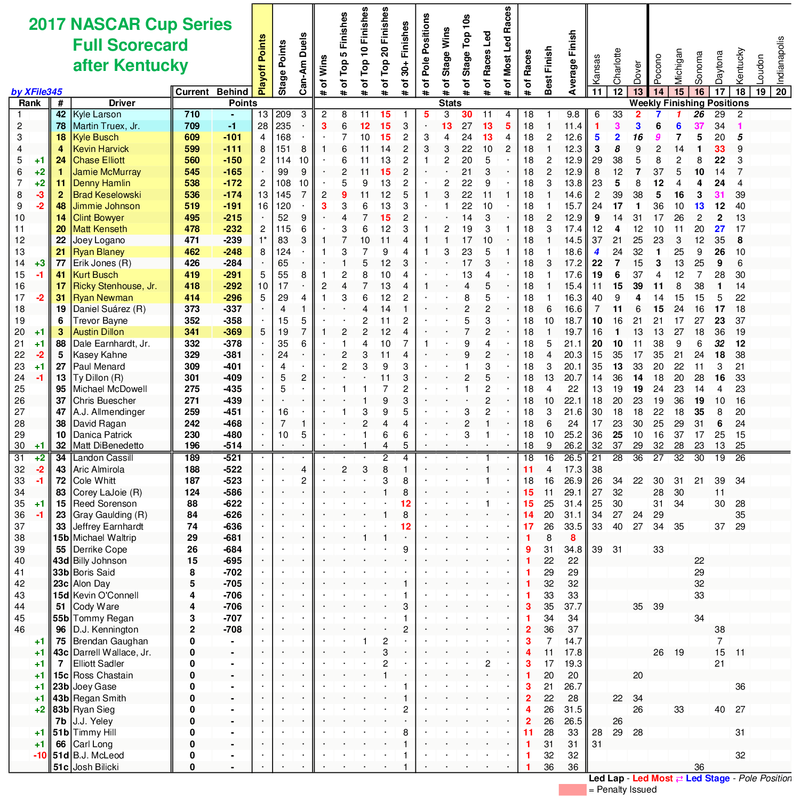 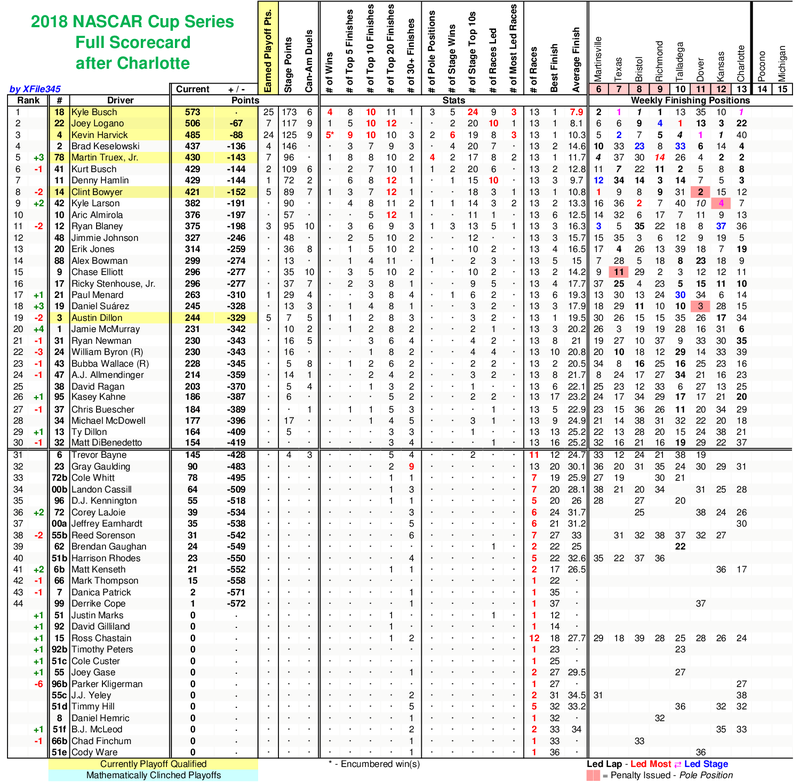 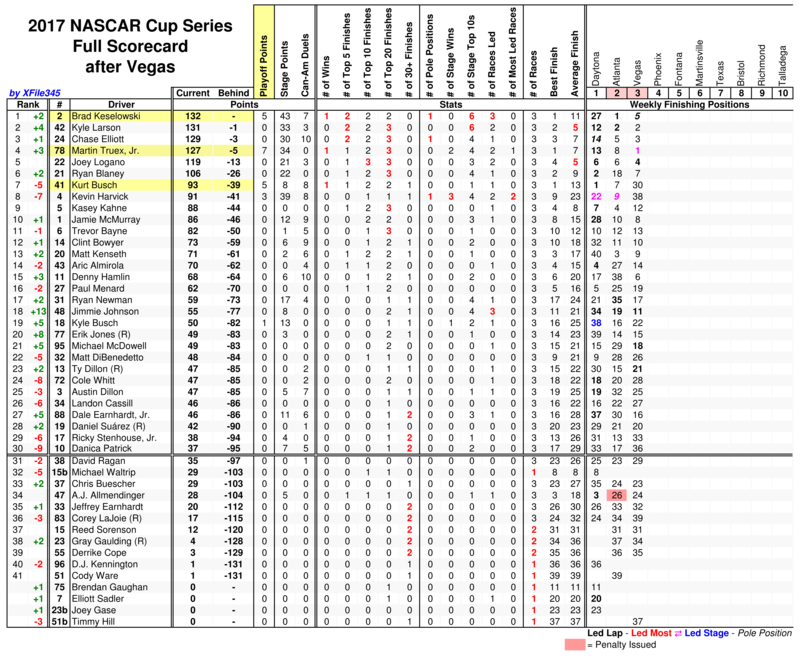 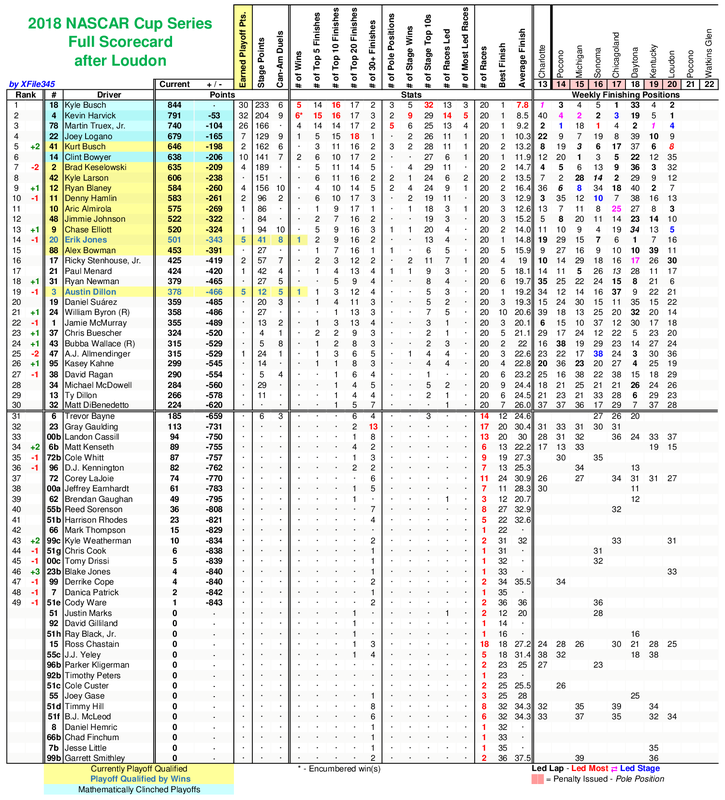 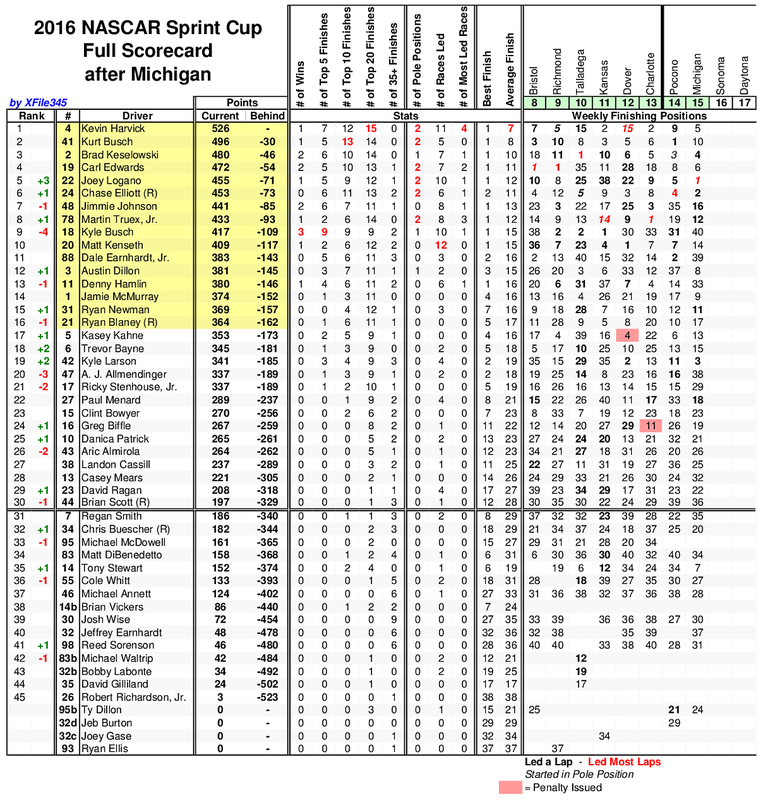 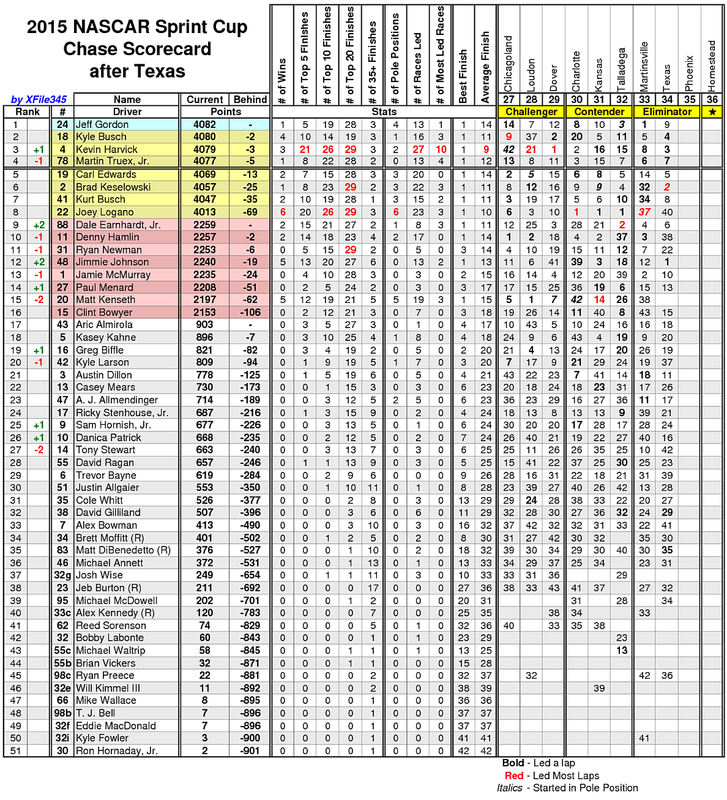 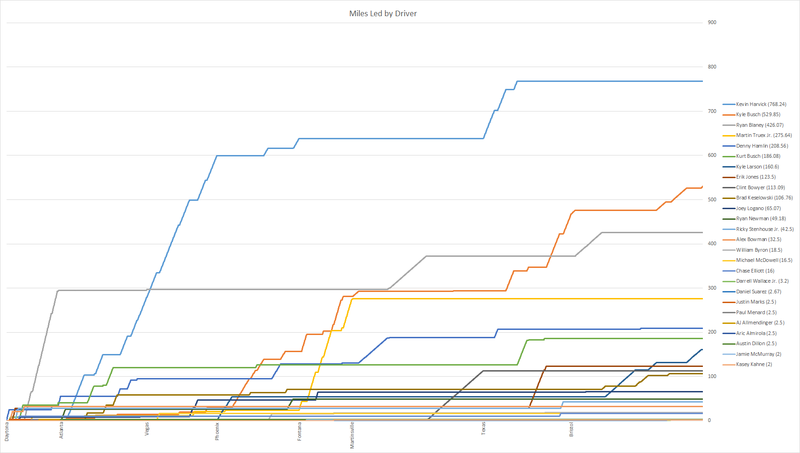 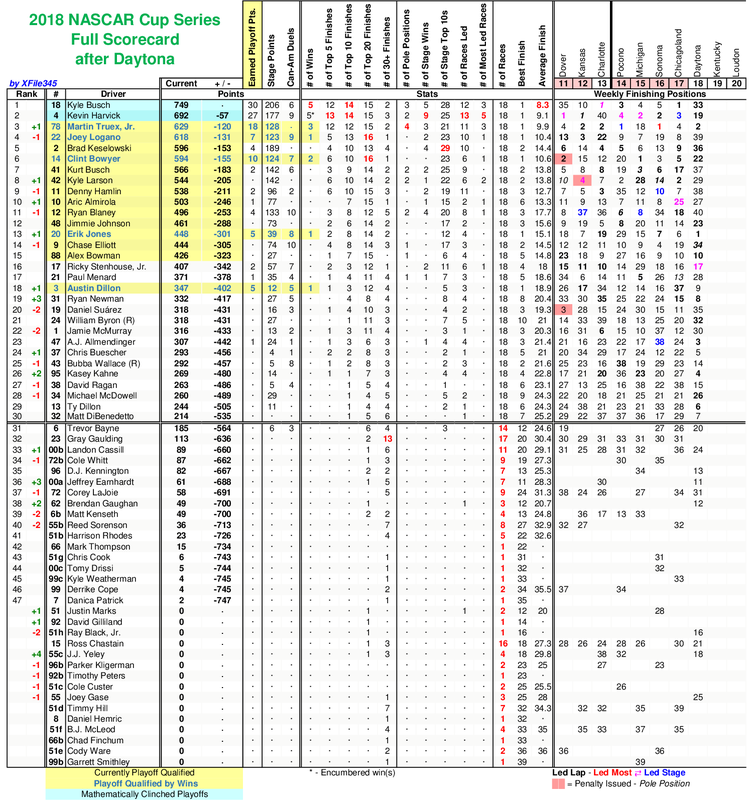 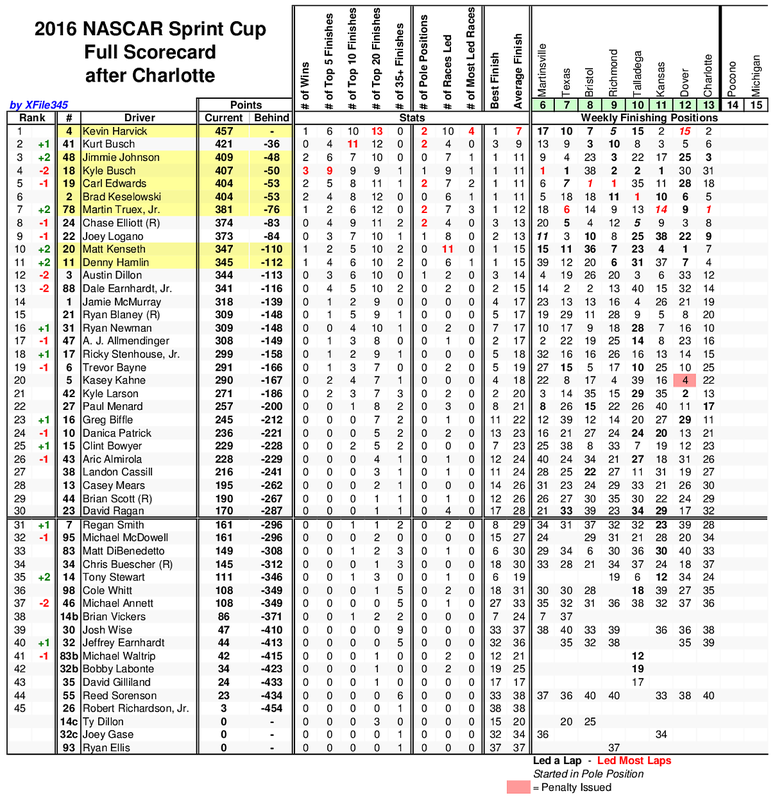 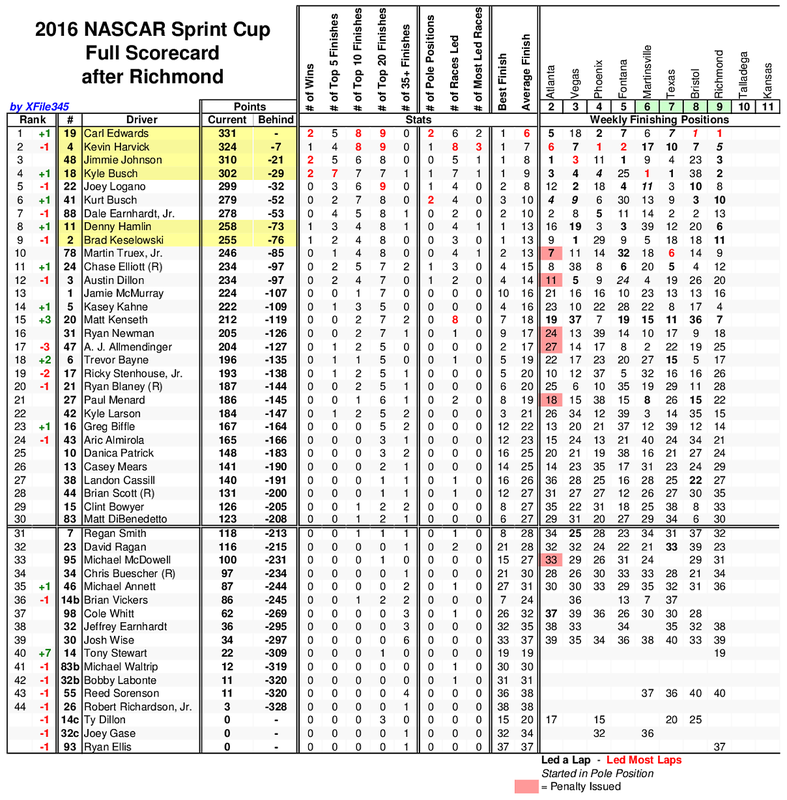 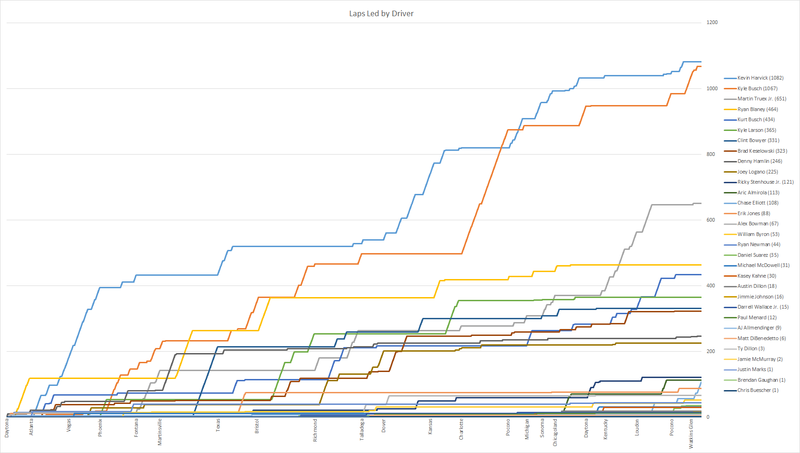 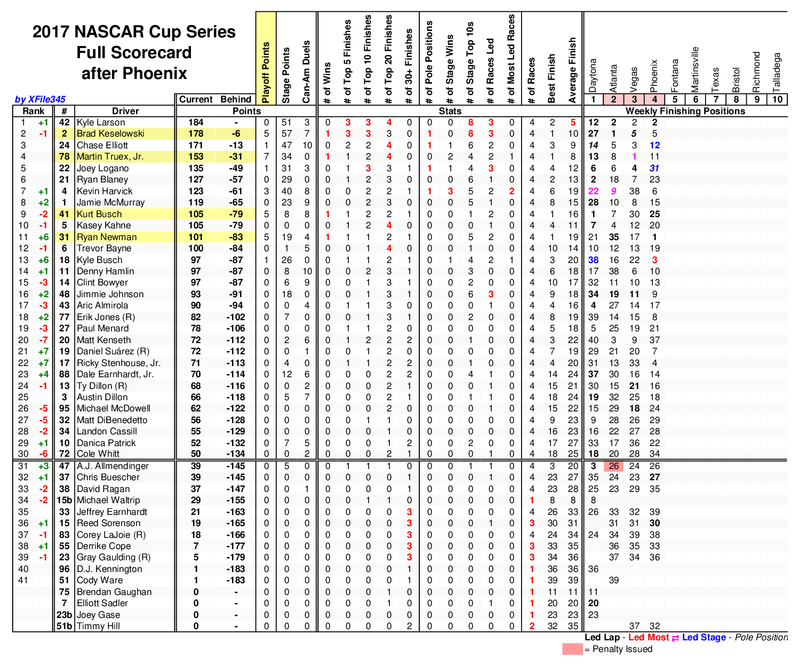 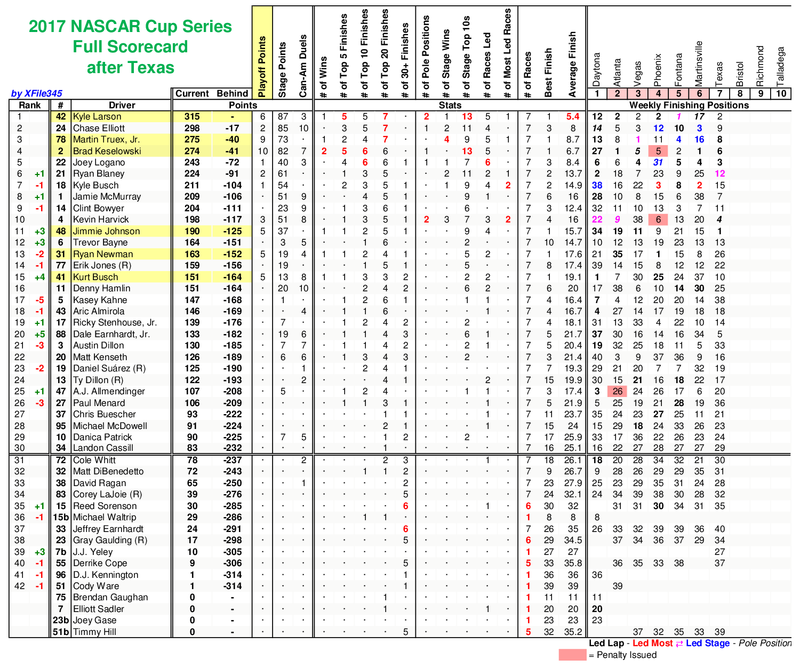 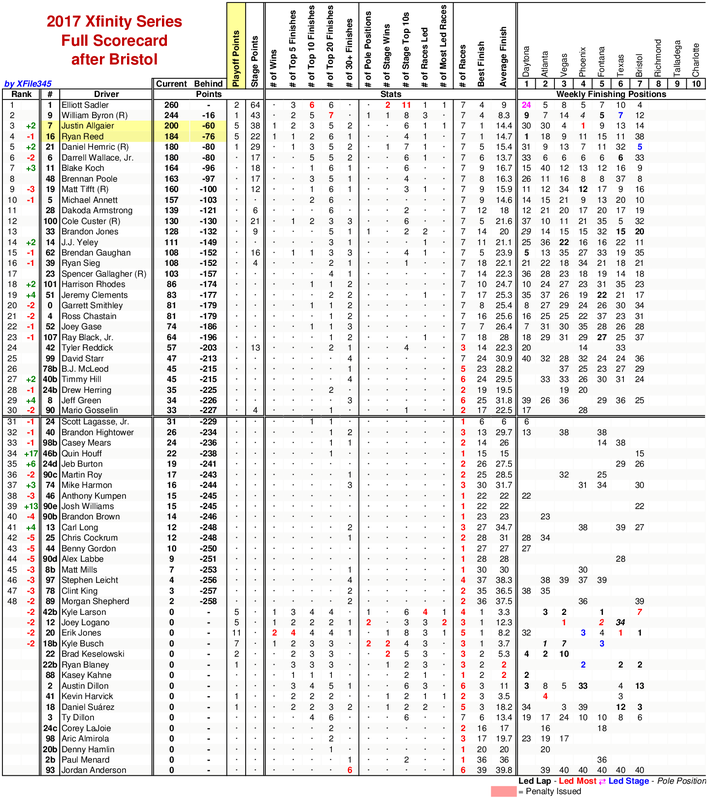 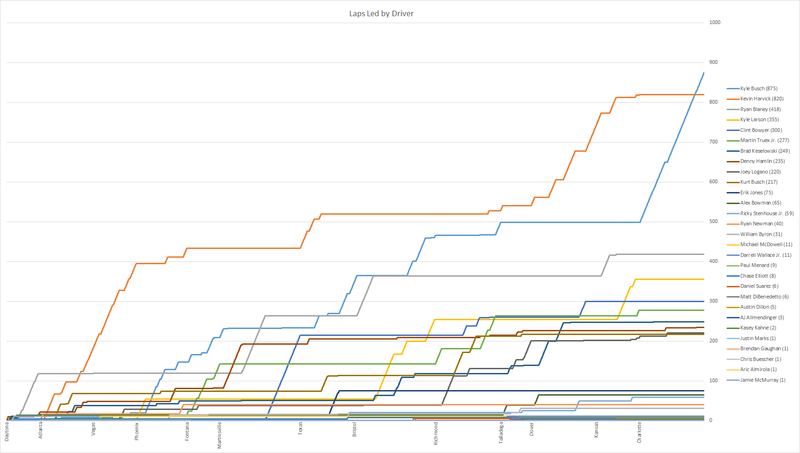 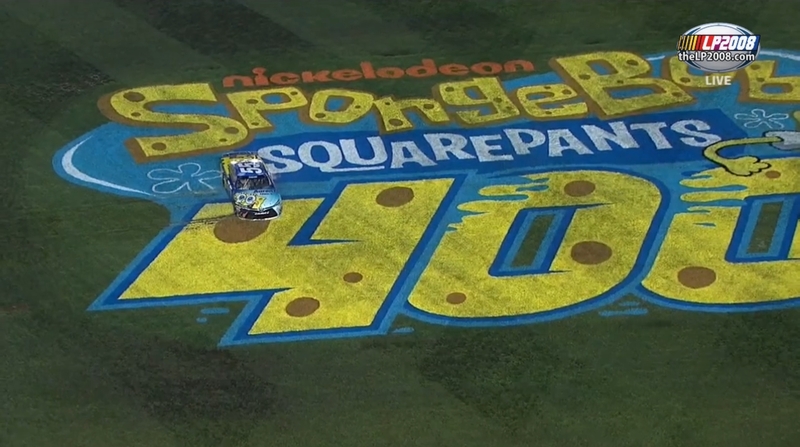 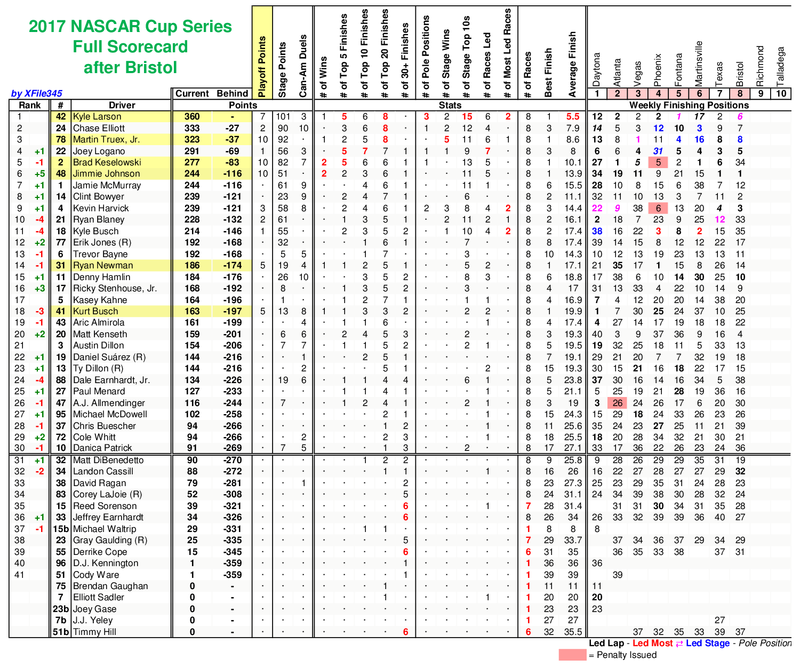 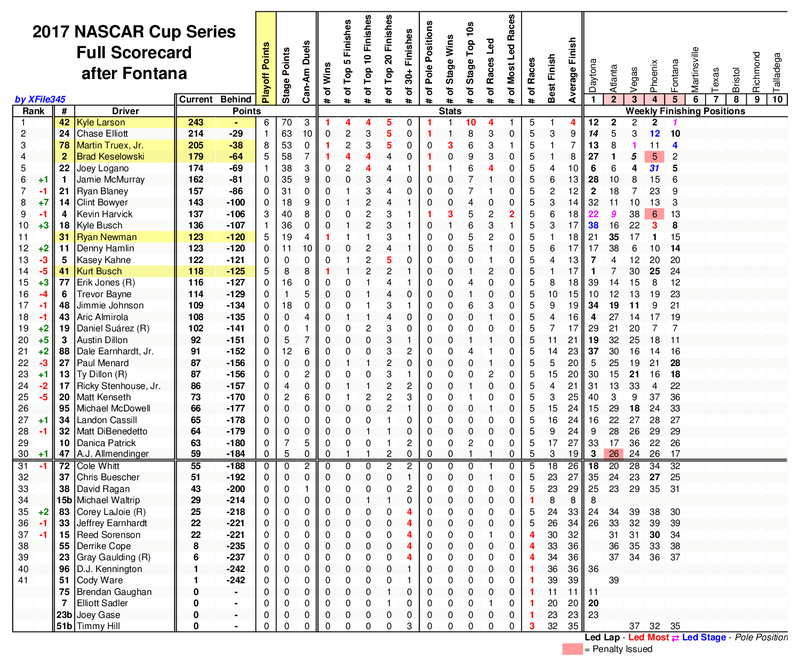 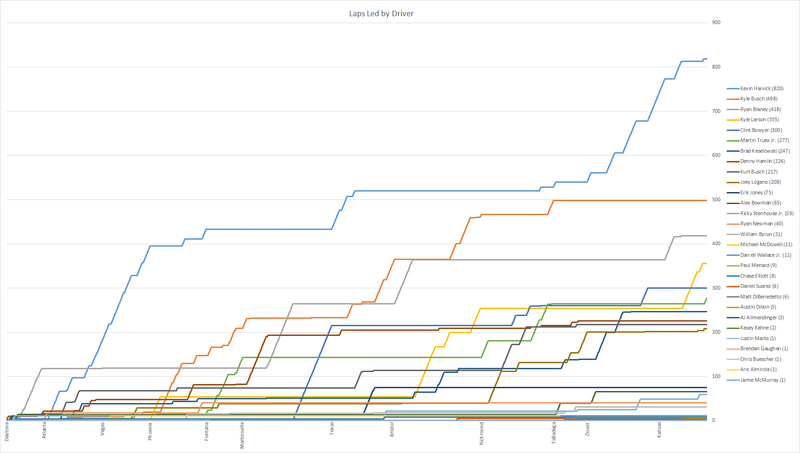 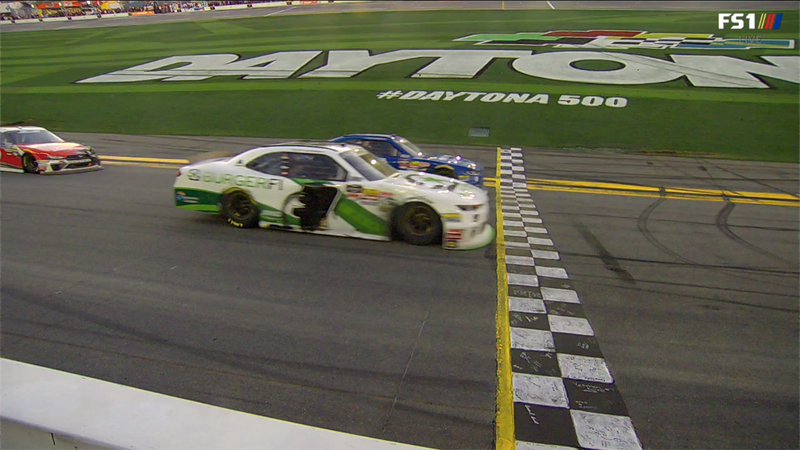 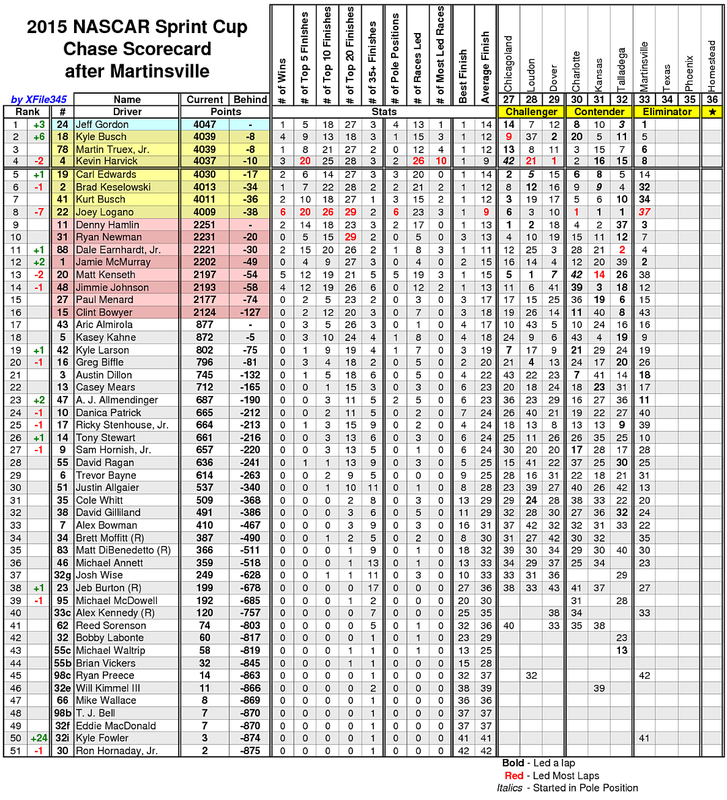 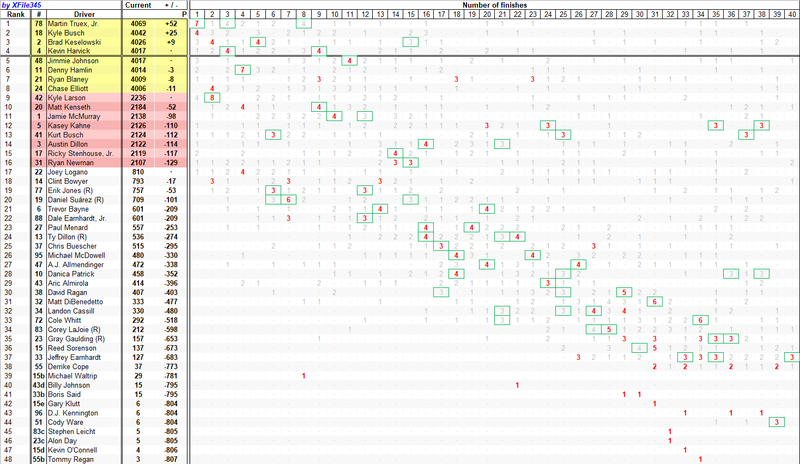 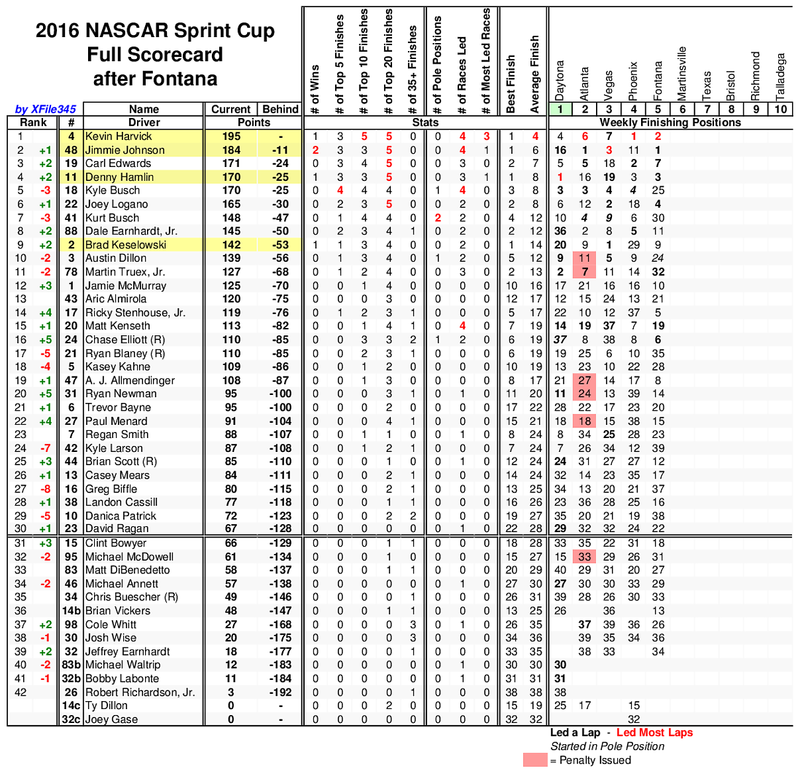 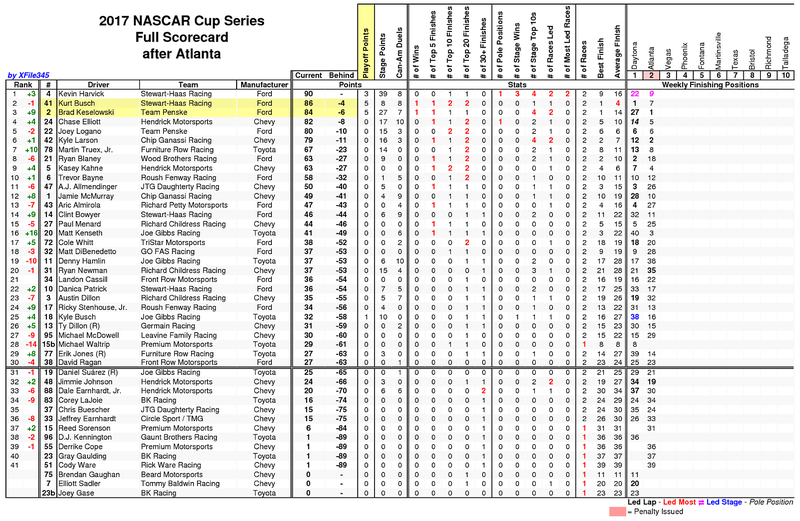 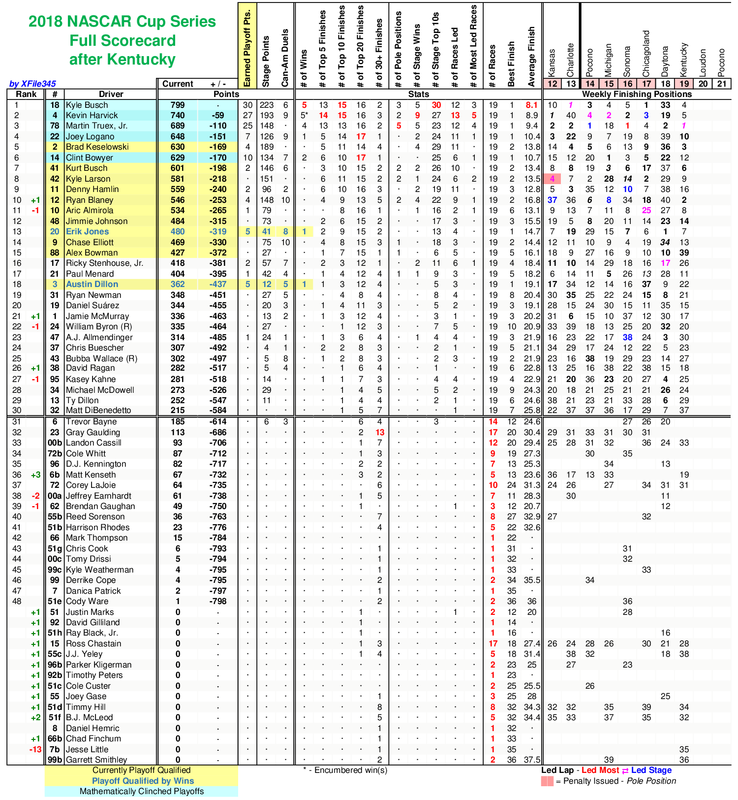 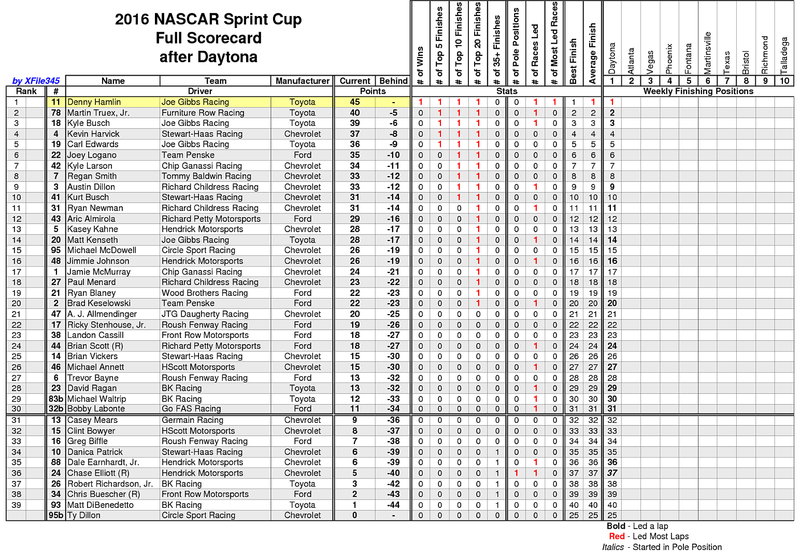 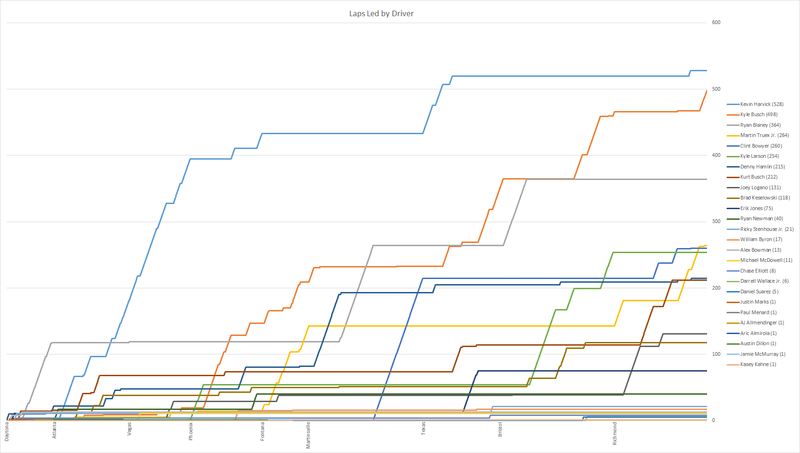 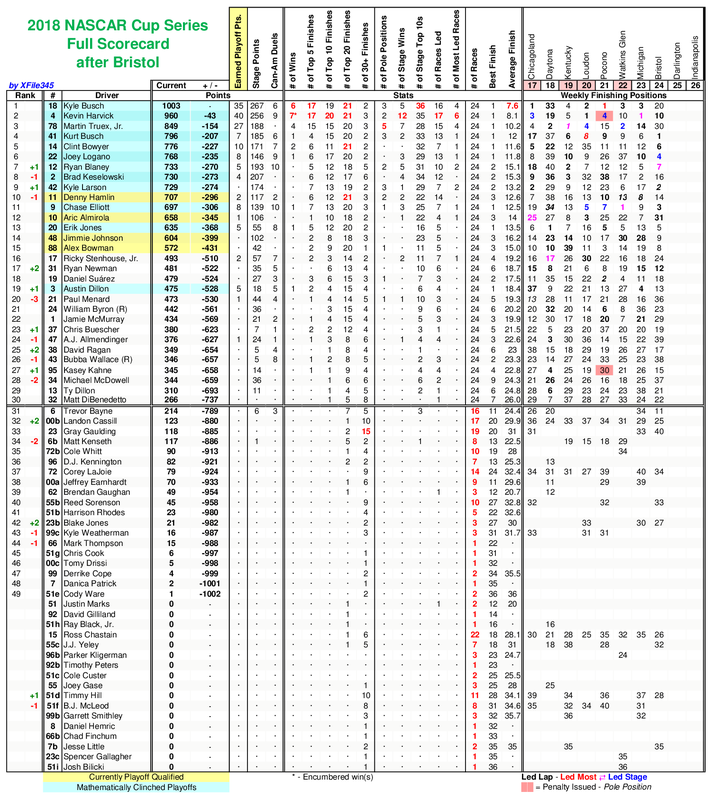 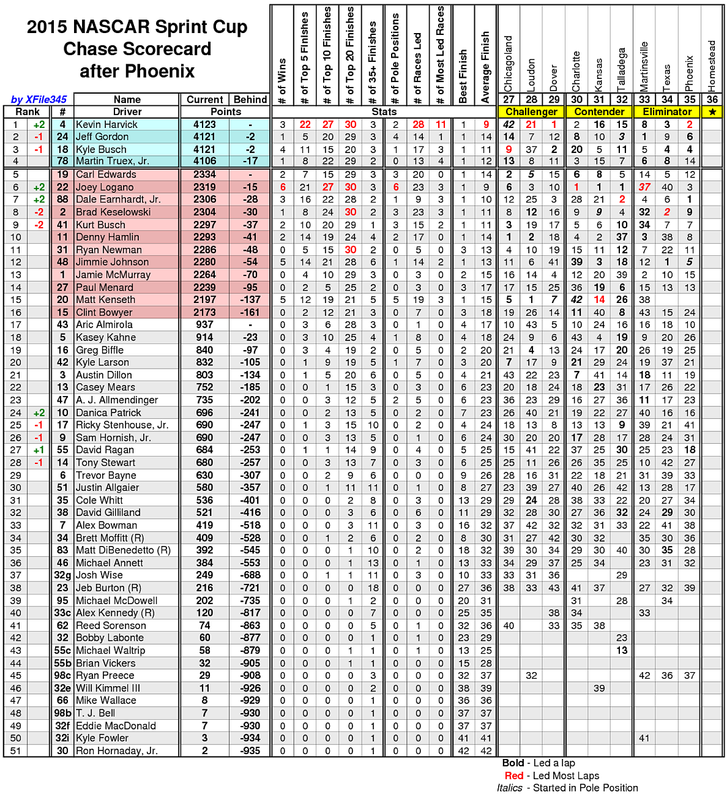 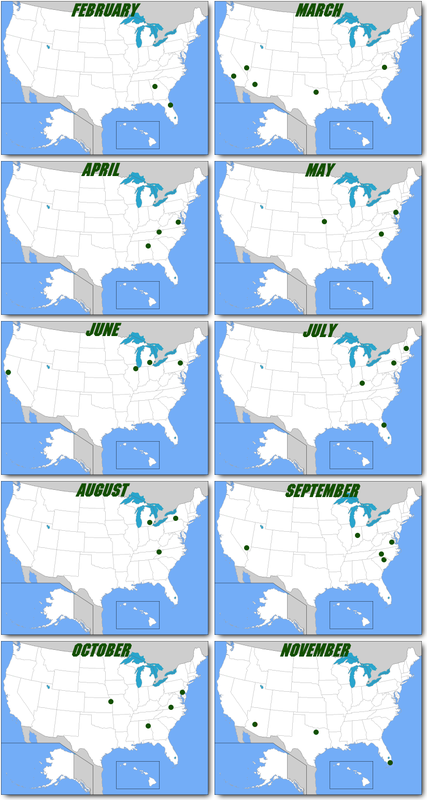 Kyle Busch has more than doubled his laps led over the past 3 races. 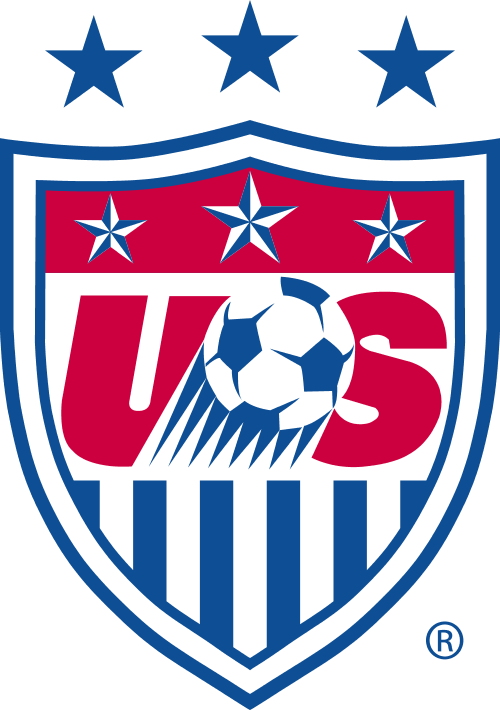 I made an updated USWNT logo. 3 Stars! 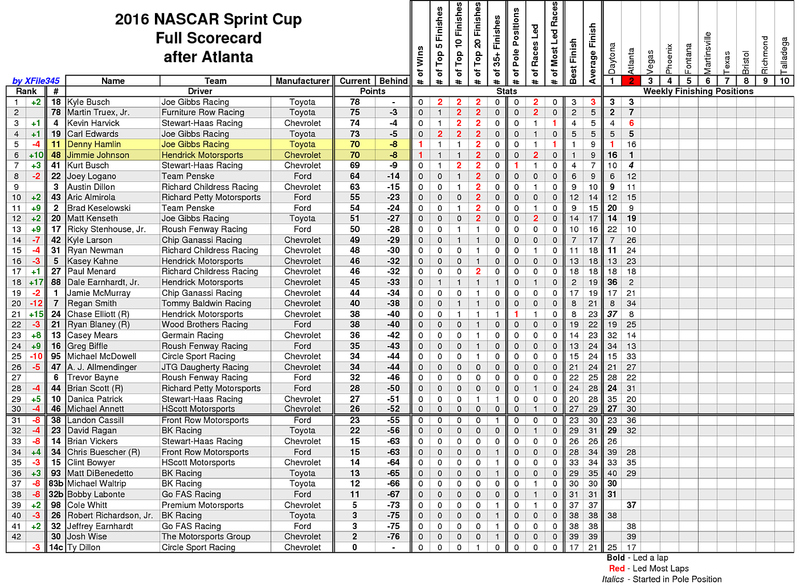 The battle for Most Laps Led is starting to heat up again between Kevin Harvick and Kyle Busch, and now Martin Truex, Jr. is trying to get in on it. 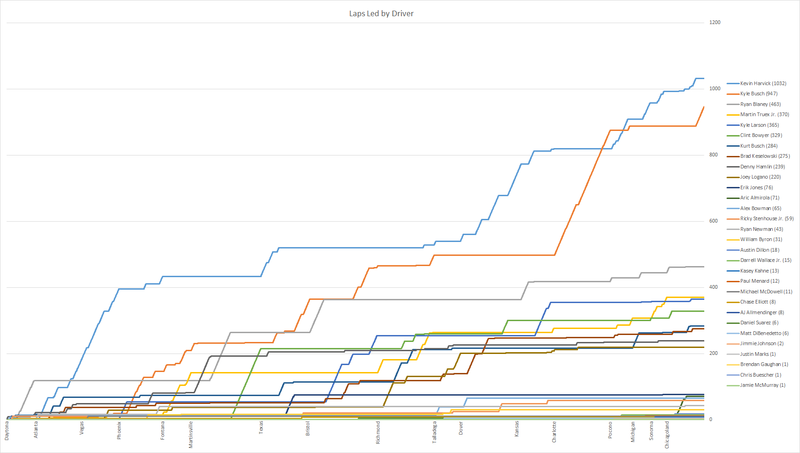 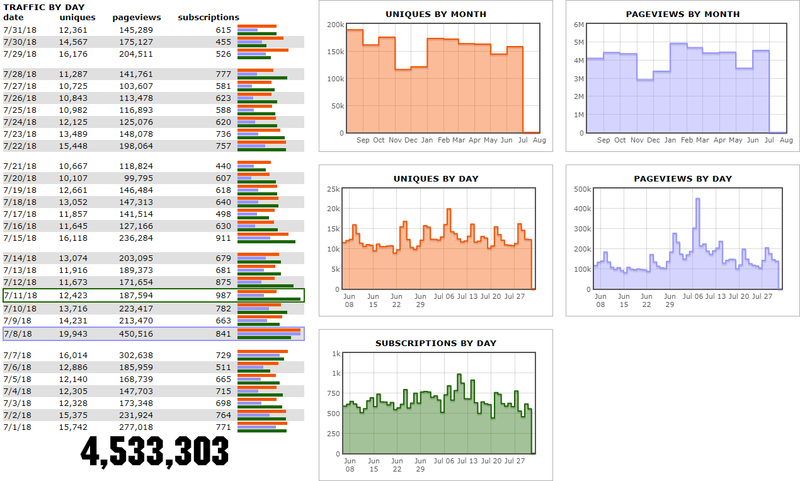 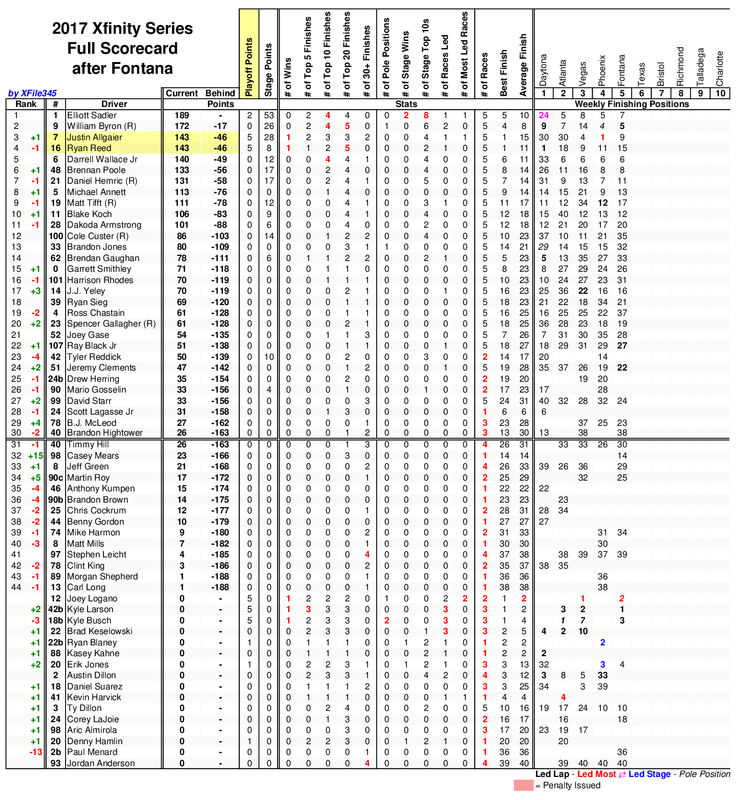 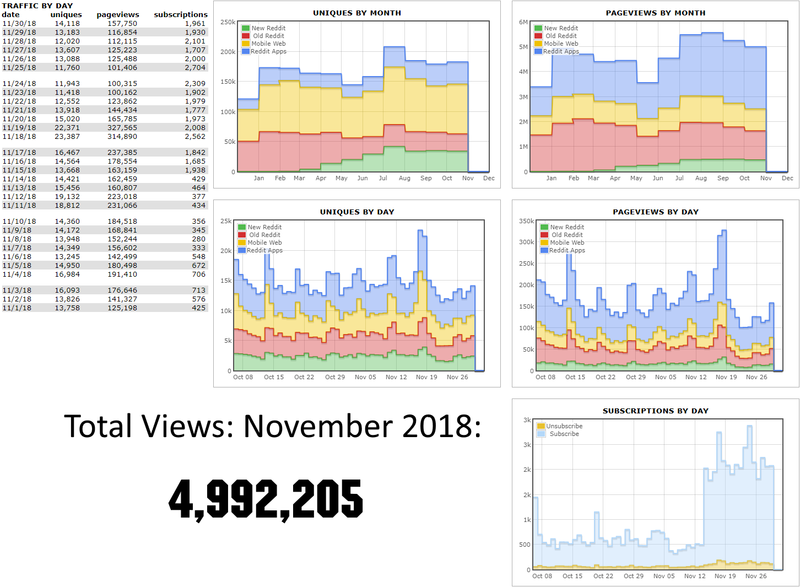 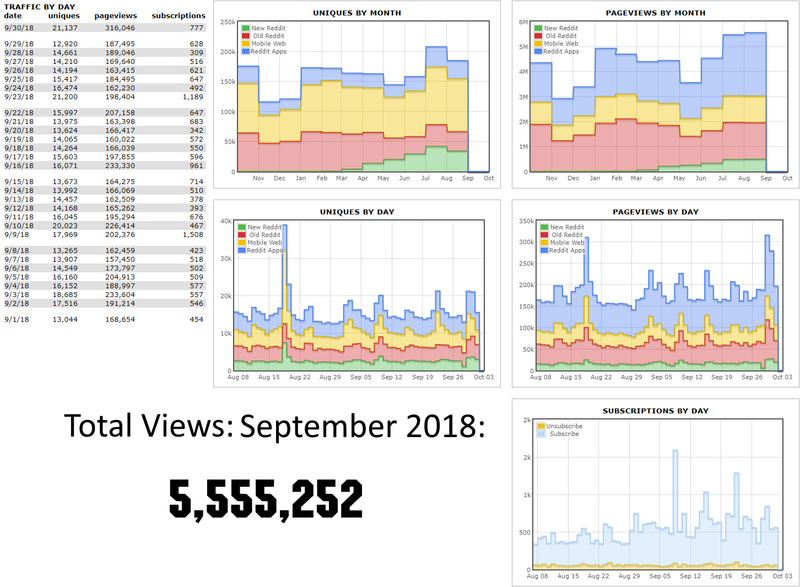 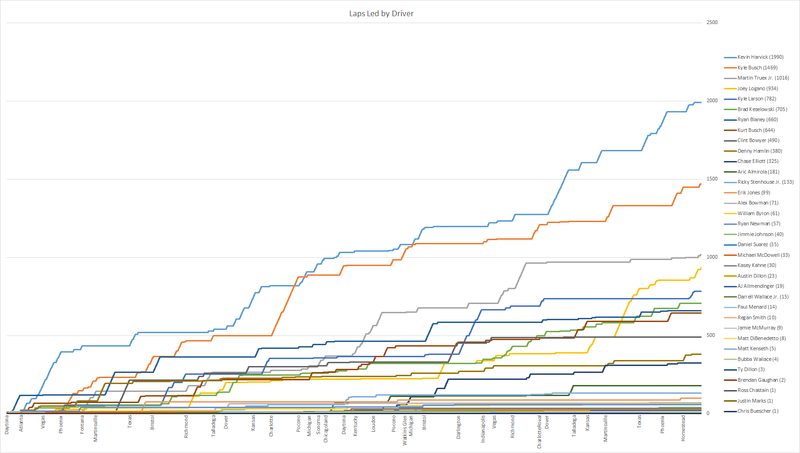 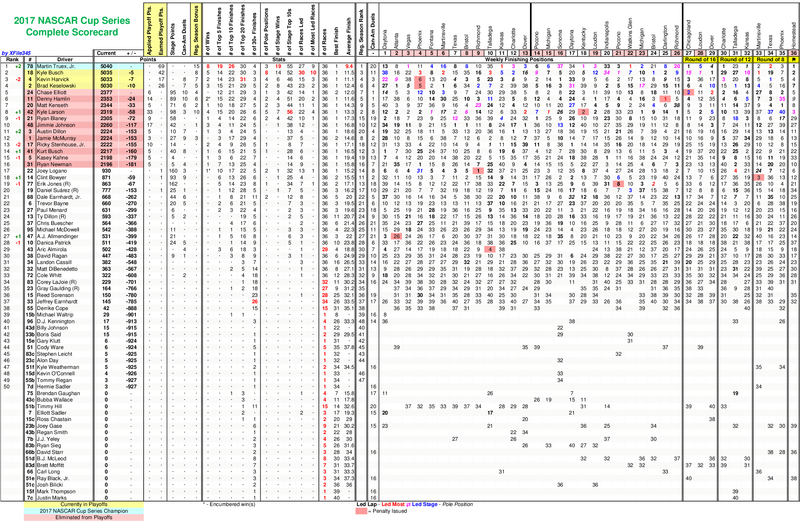 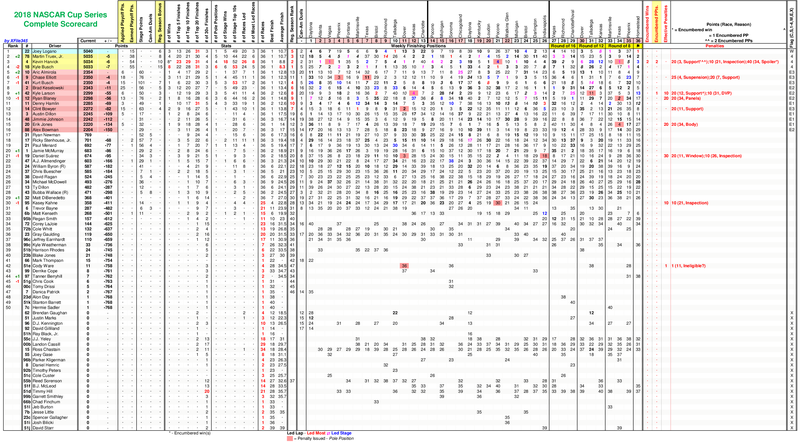 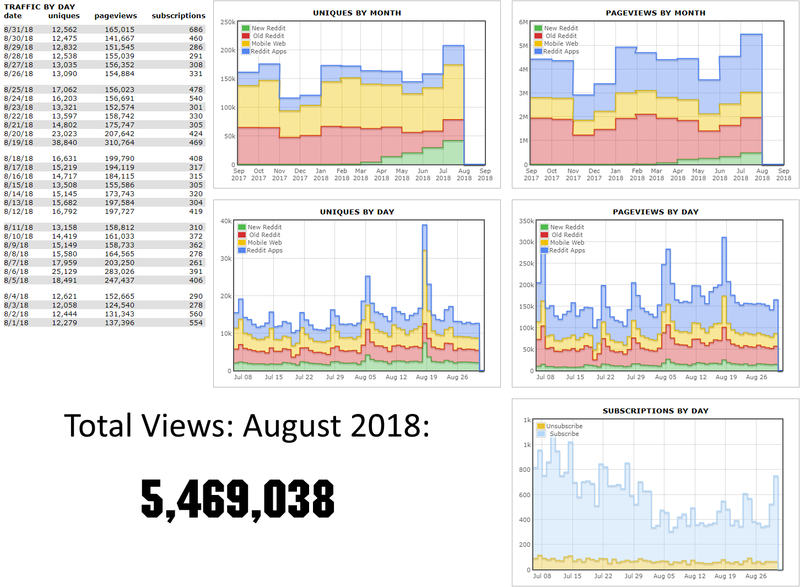 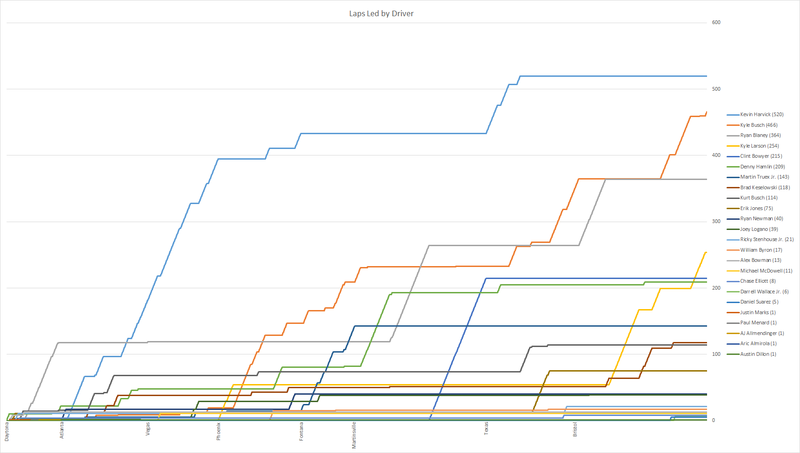 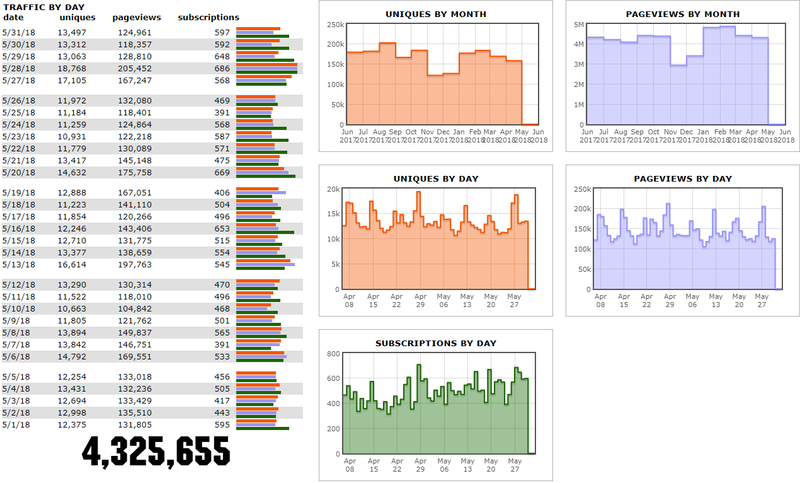 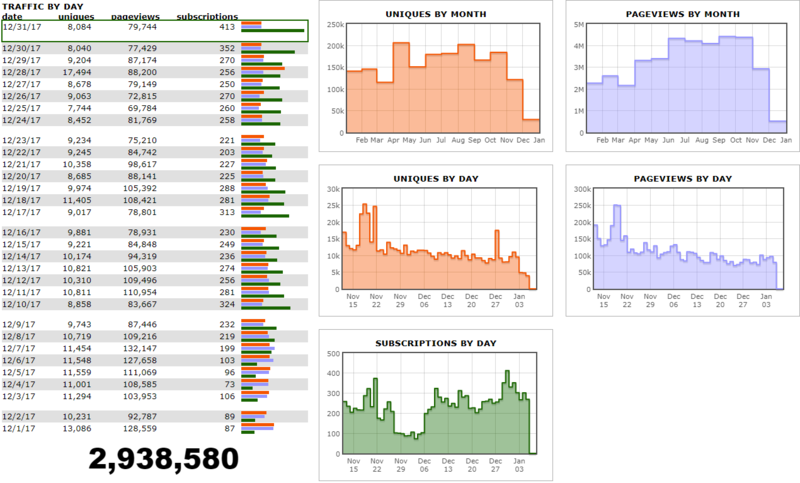 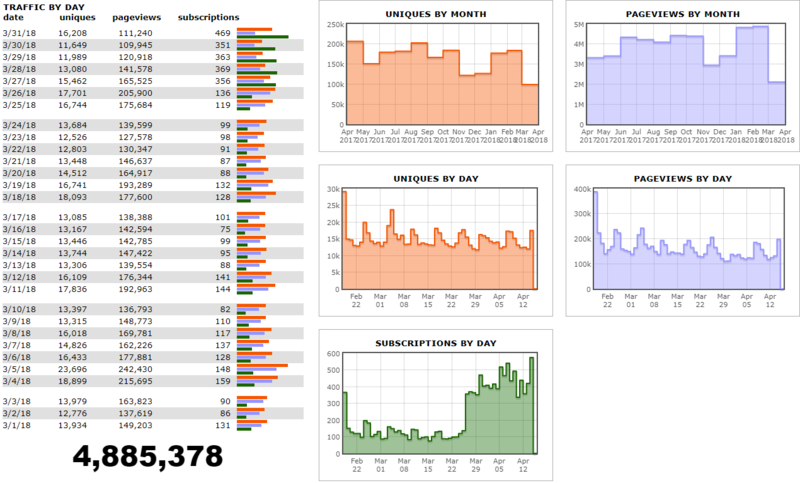 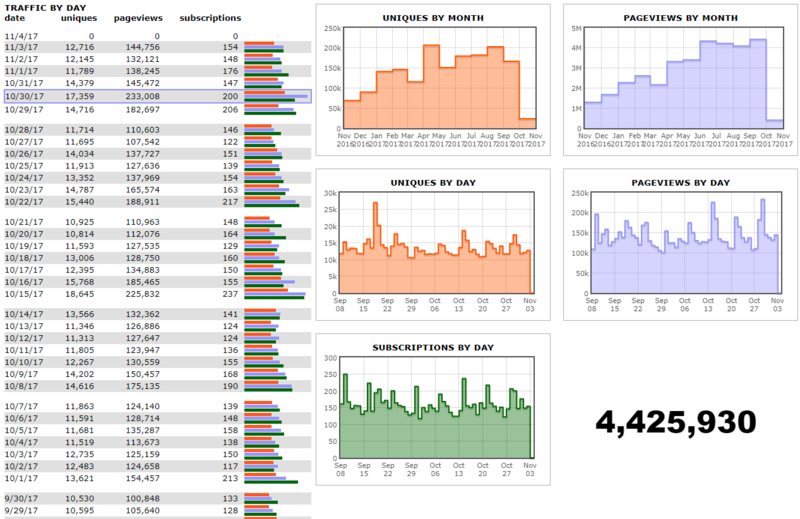 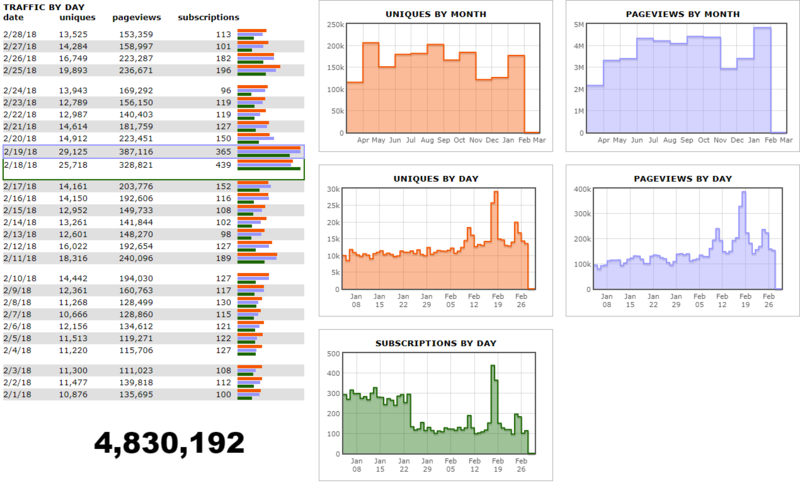 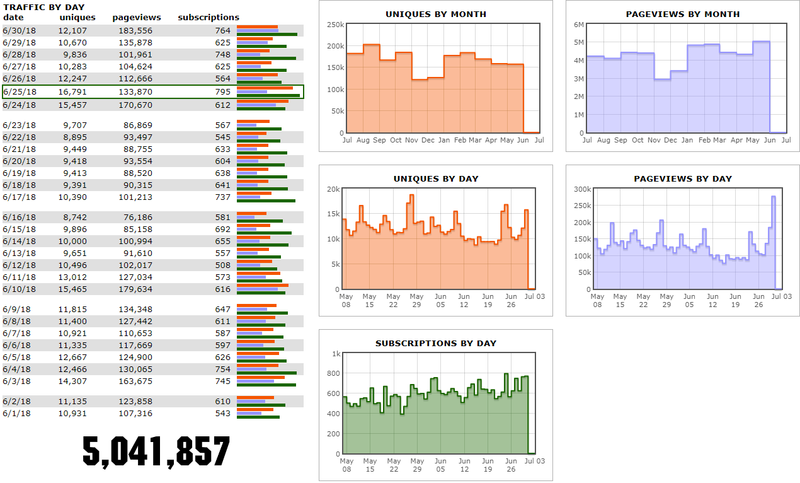 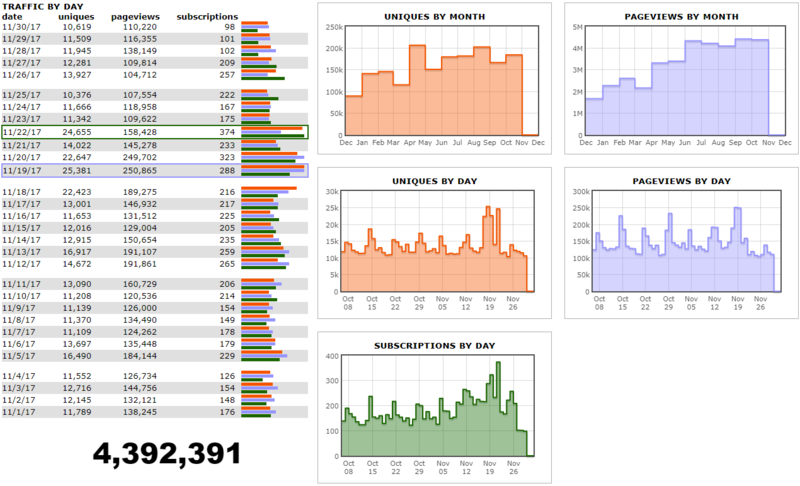 r/NASCAR Traffic Stats [8/2018] - Now with platform breakdown! 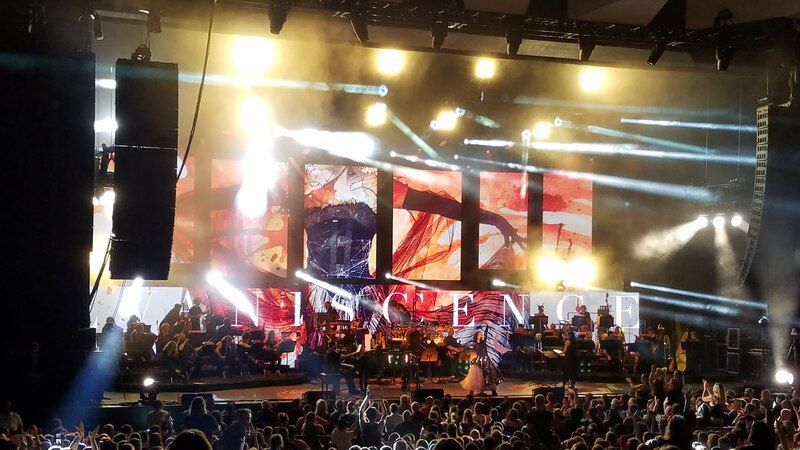 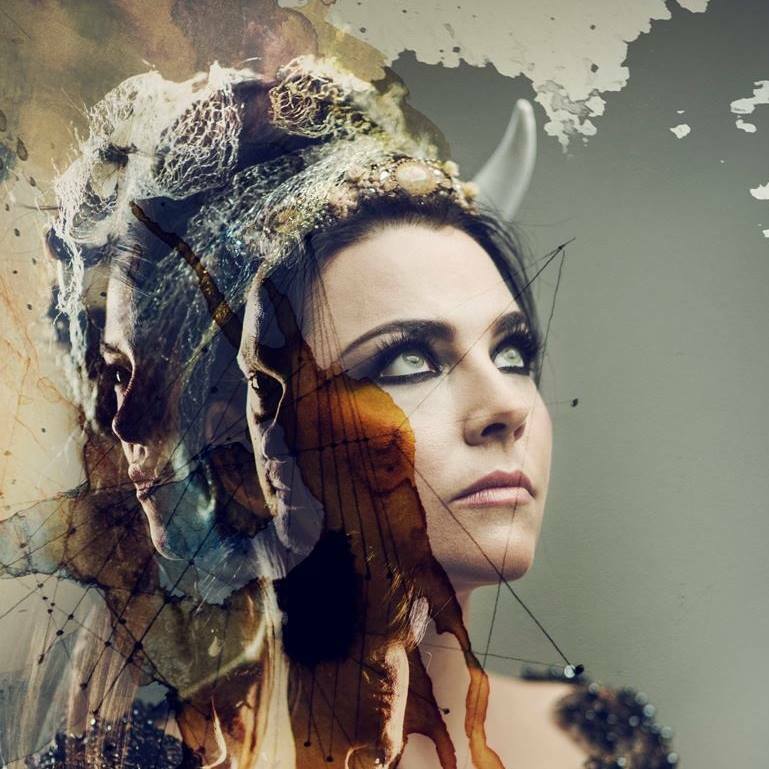 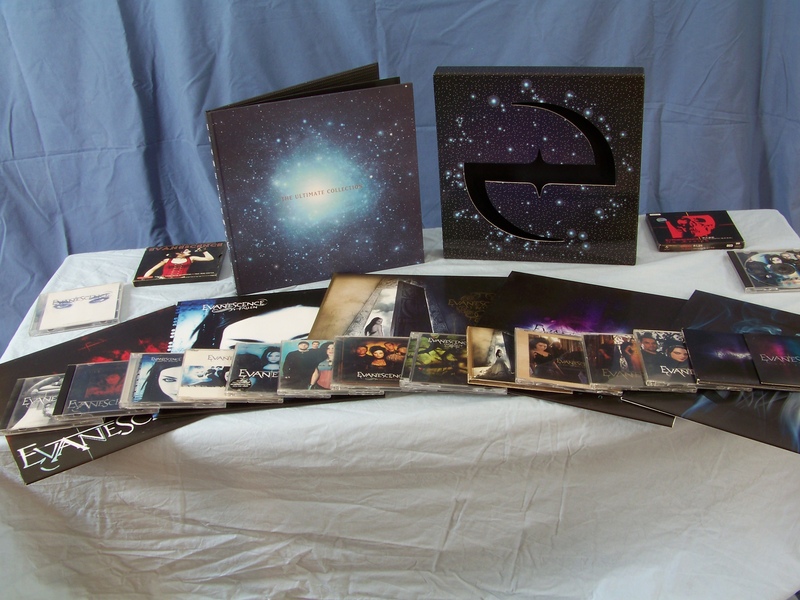 My entire Evanescence discography collection!